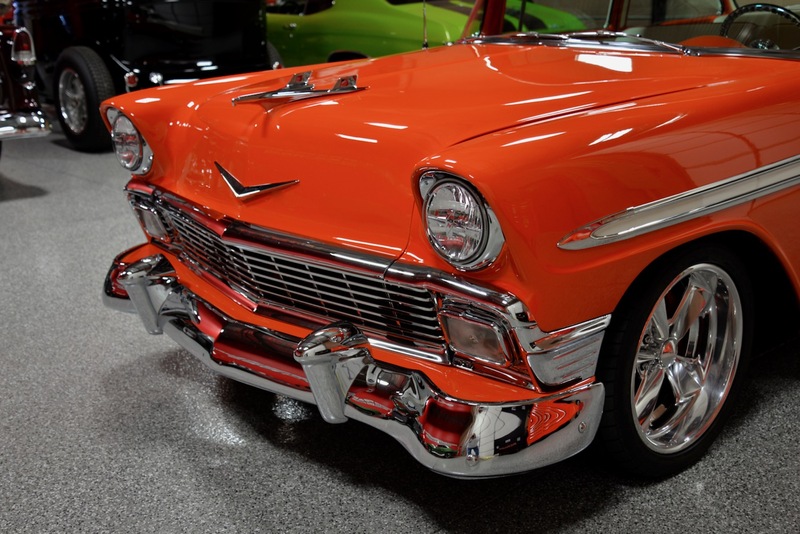 In classic automobile parlance, Tri-Five refers to the 1955, 1956 & 1957 Chevrolets, most popular being the Chevrolet Bel Air. 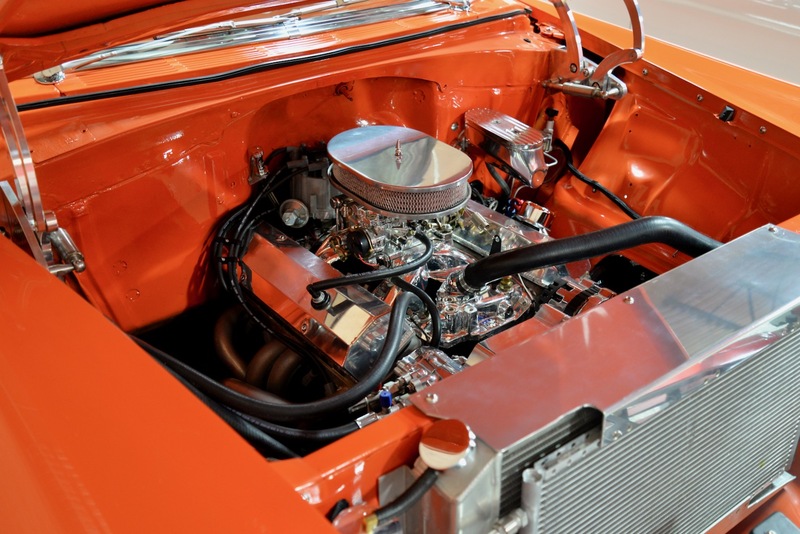 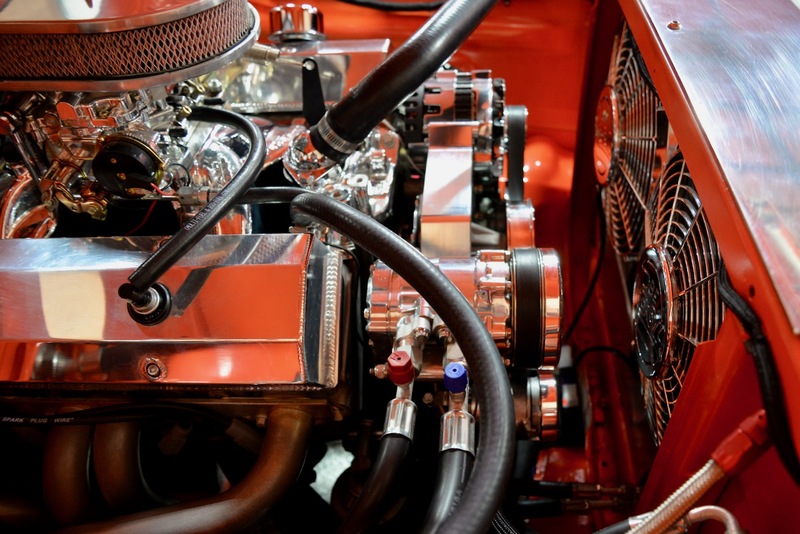 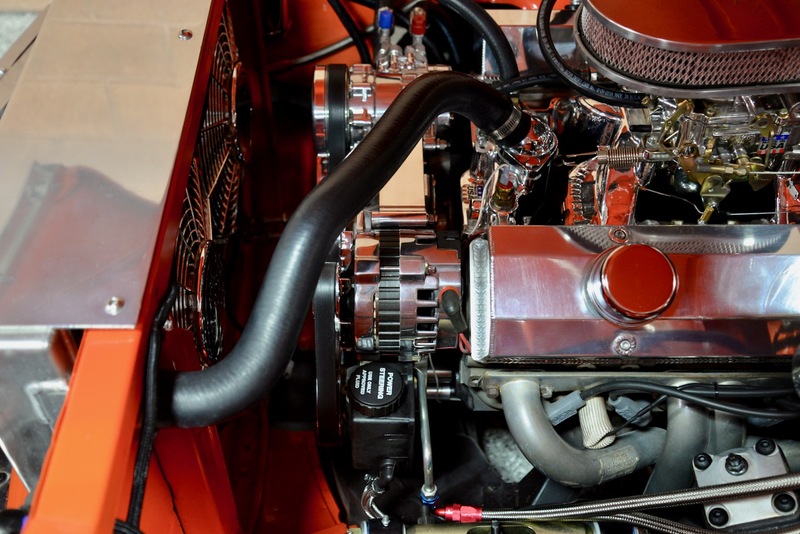 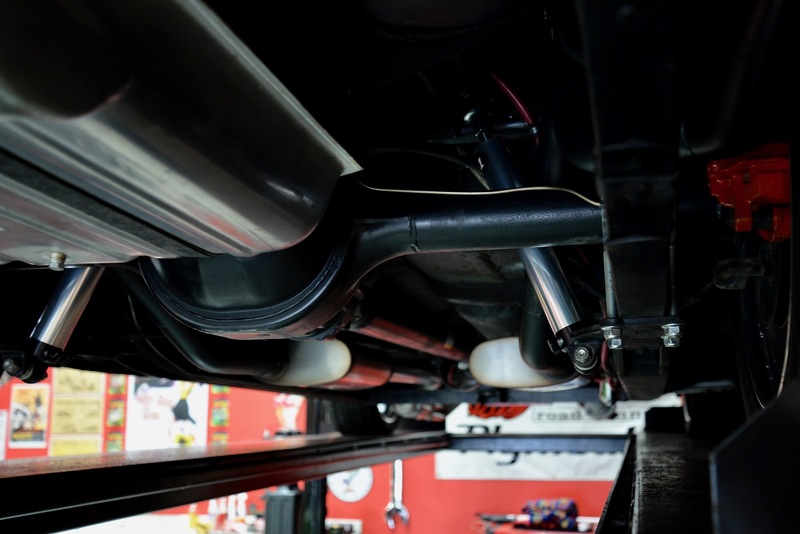 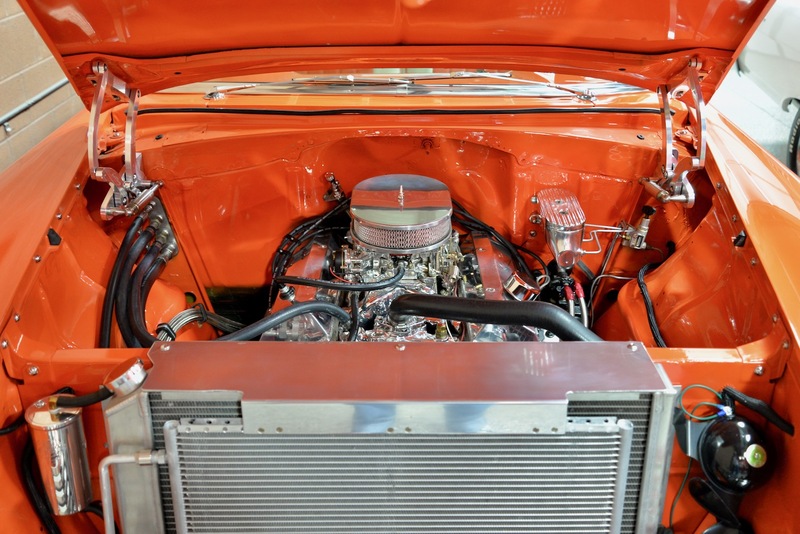 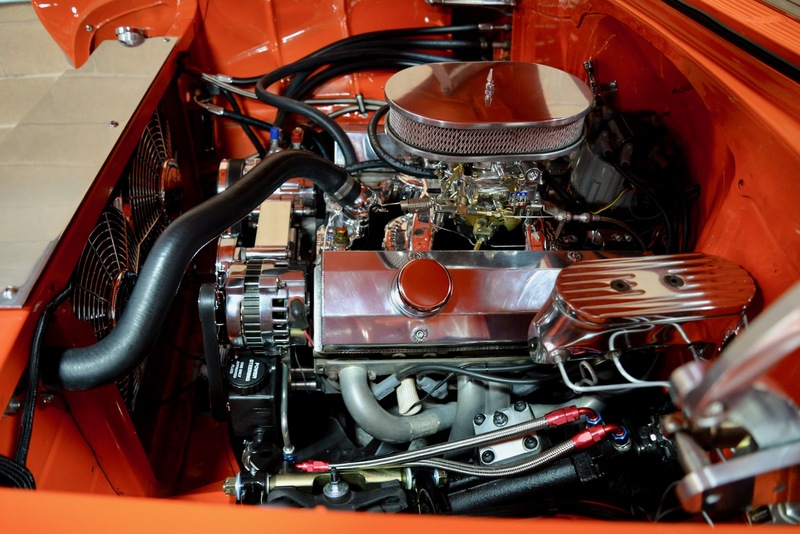 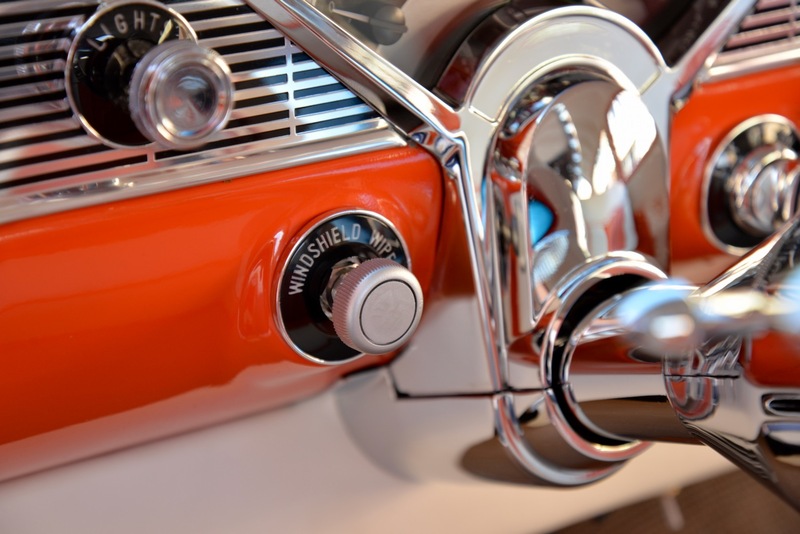 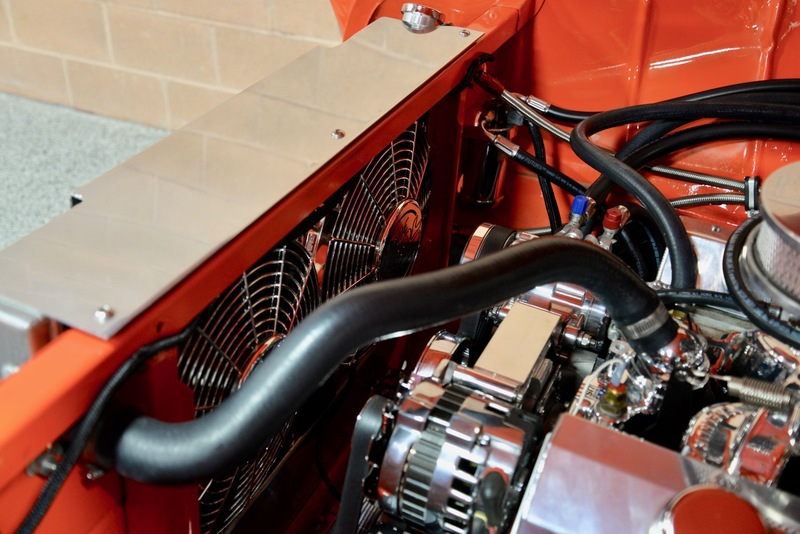 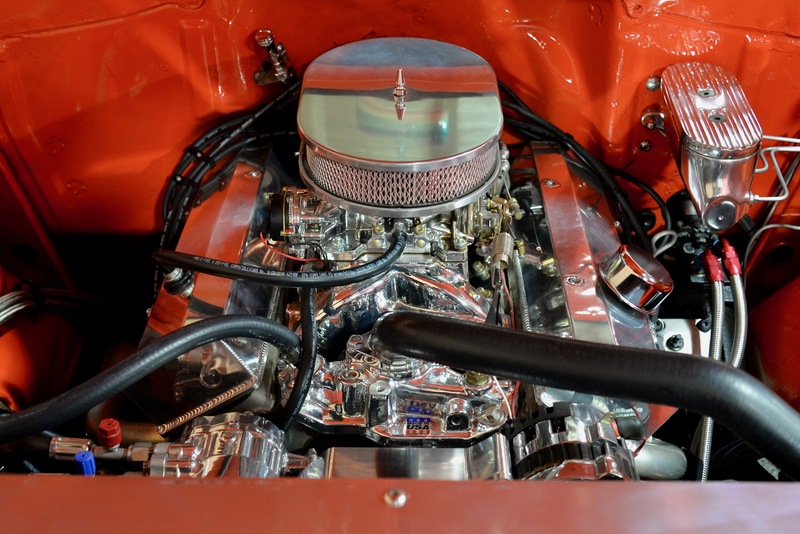 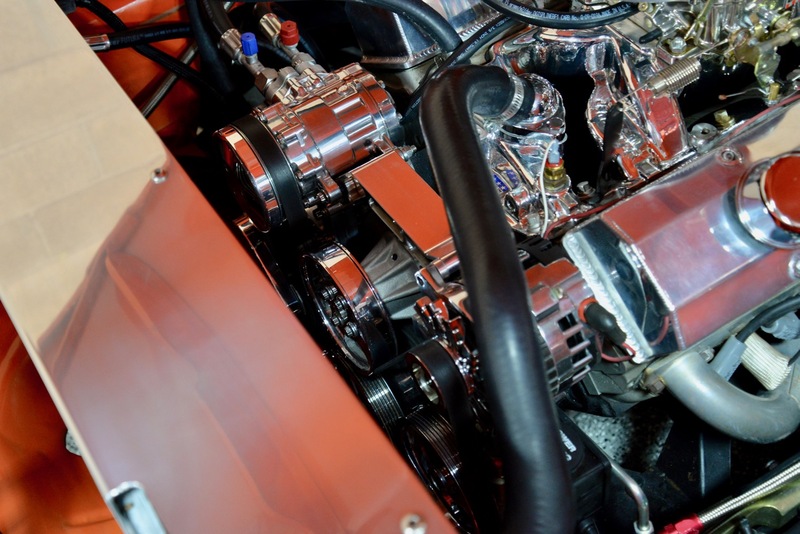 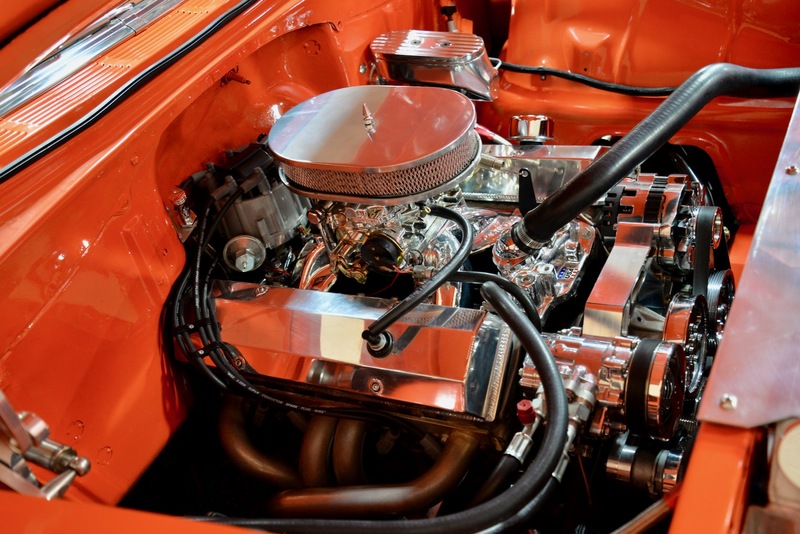 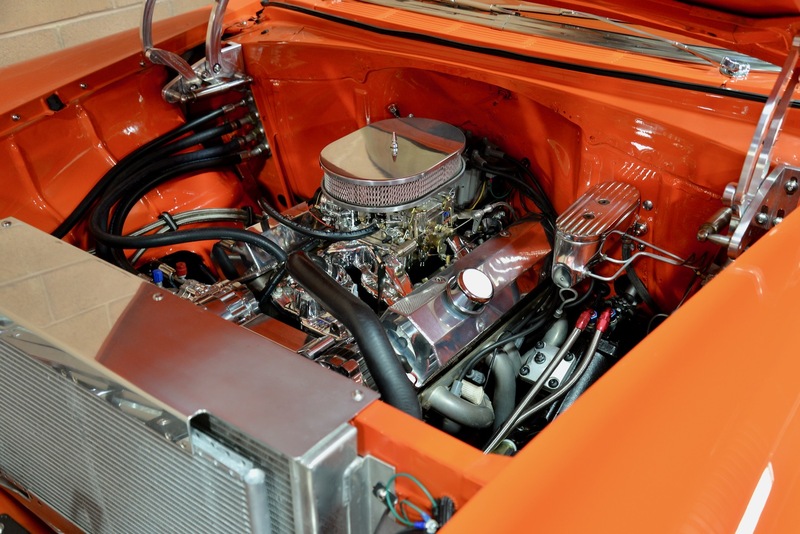 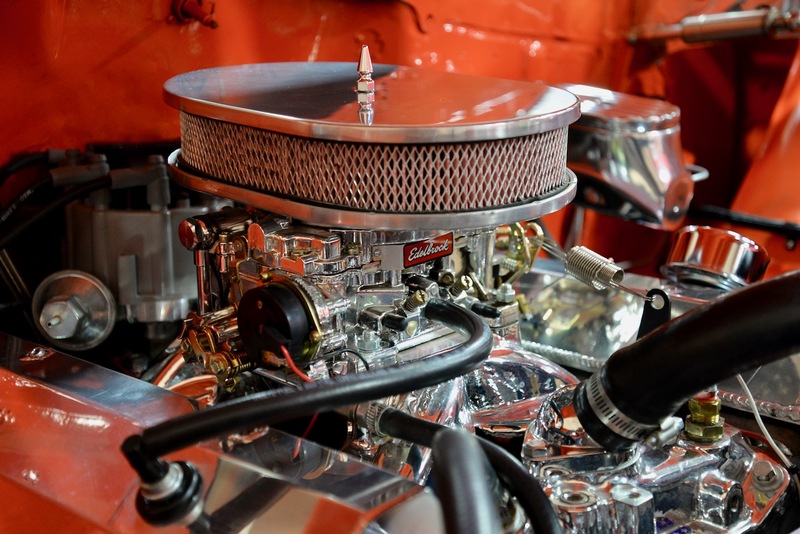 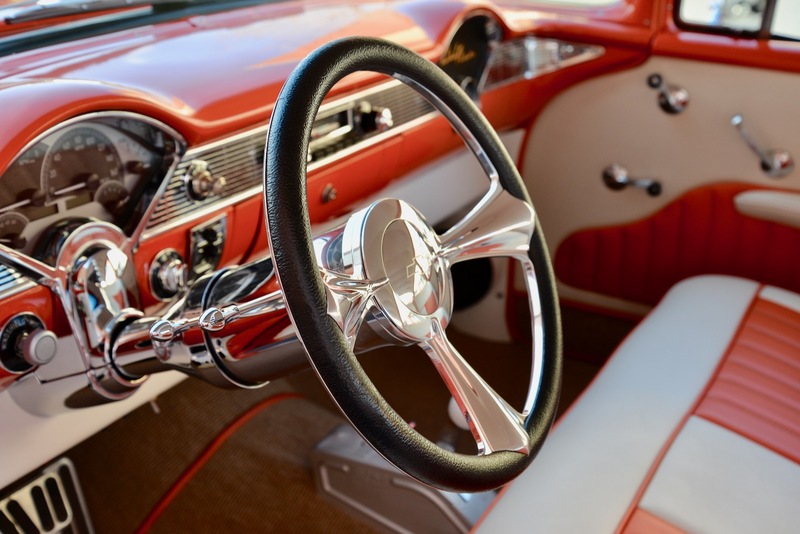 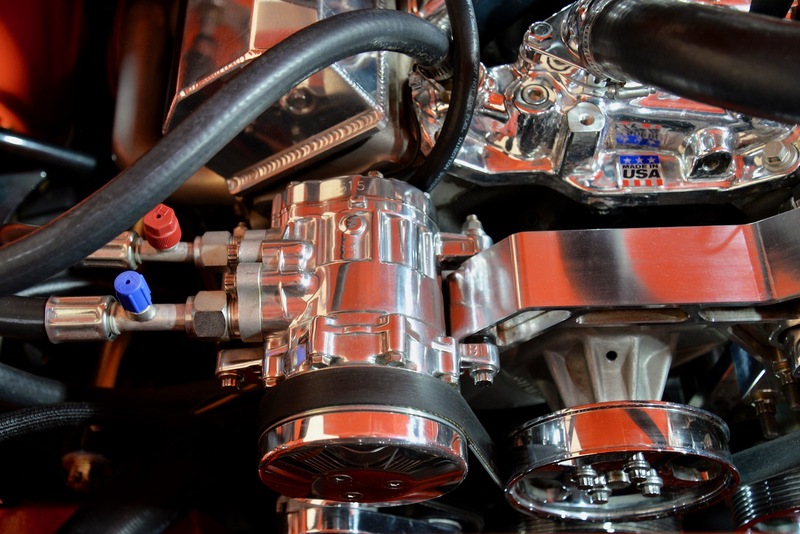 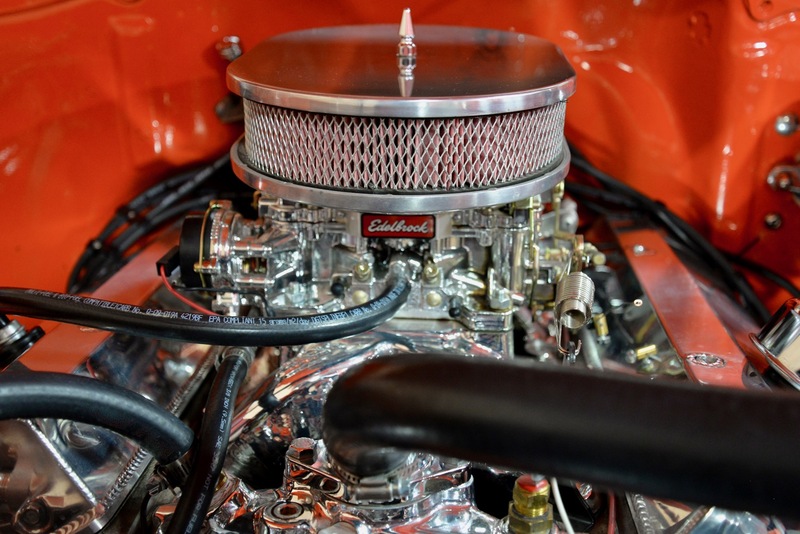 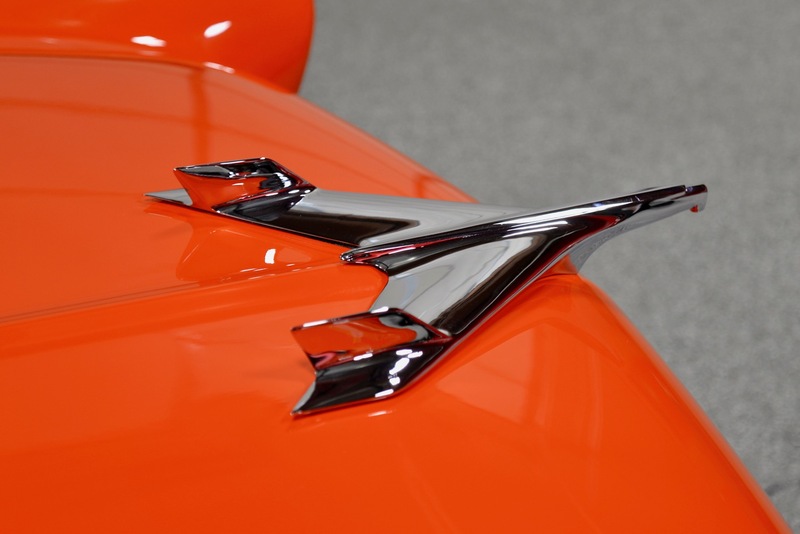 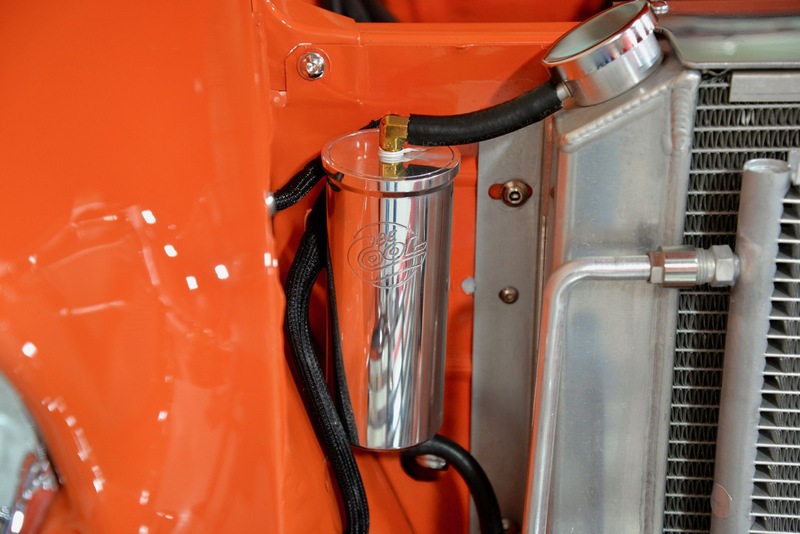 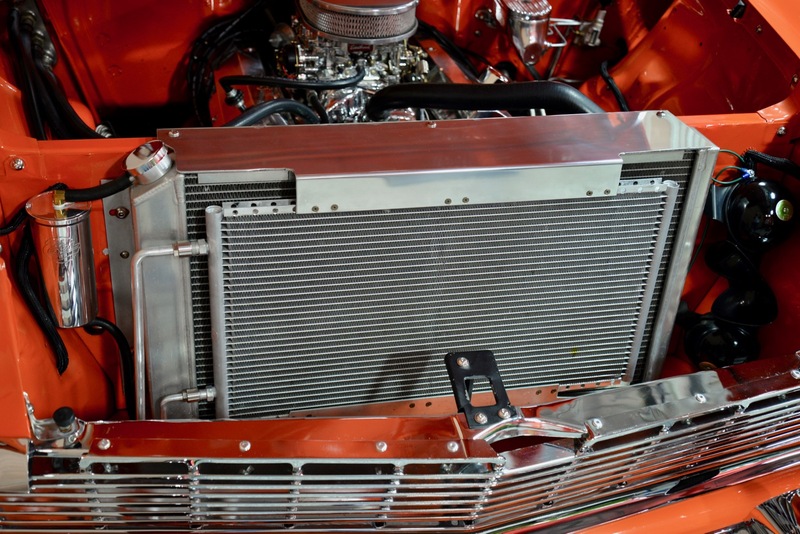 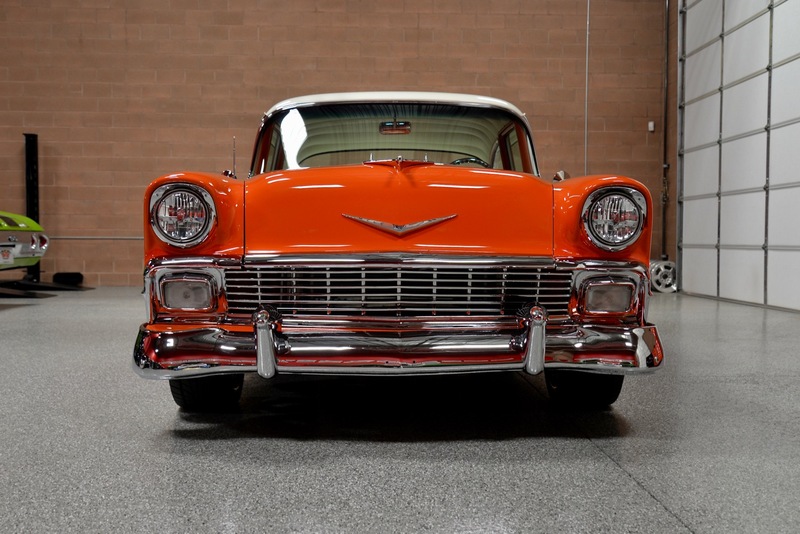 Revolutionary in their day, they spawned a cult following that is bigger today than it’s ever been, w/ websites and entire businesses that exclusively cater to the enthusiasts of Chevrolet Tri-Five automobiles. 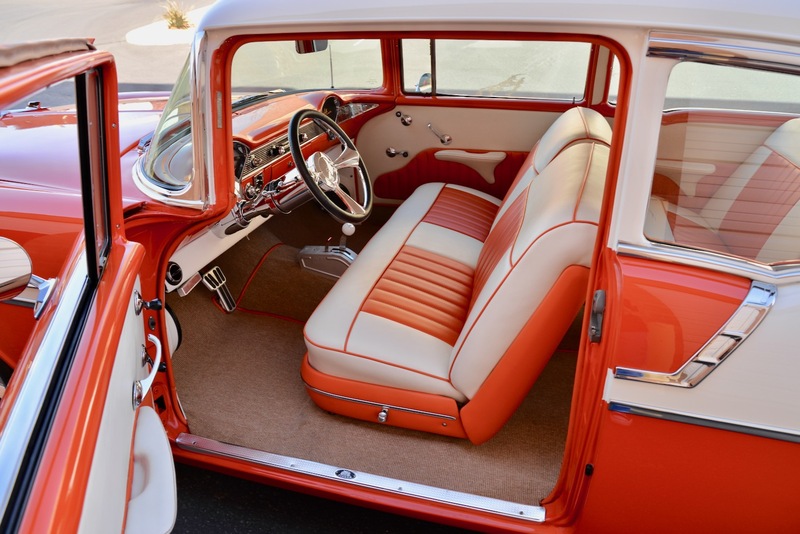 They are simply timeless and are loved dearly by the young as well as the old. 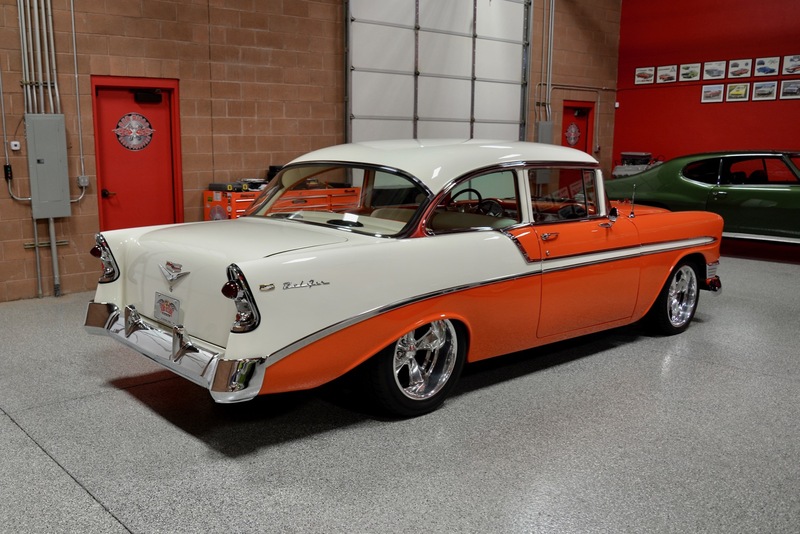 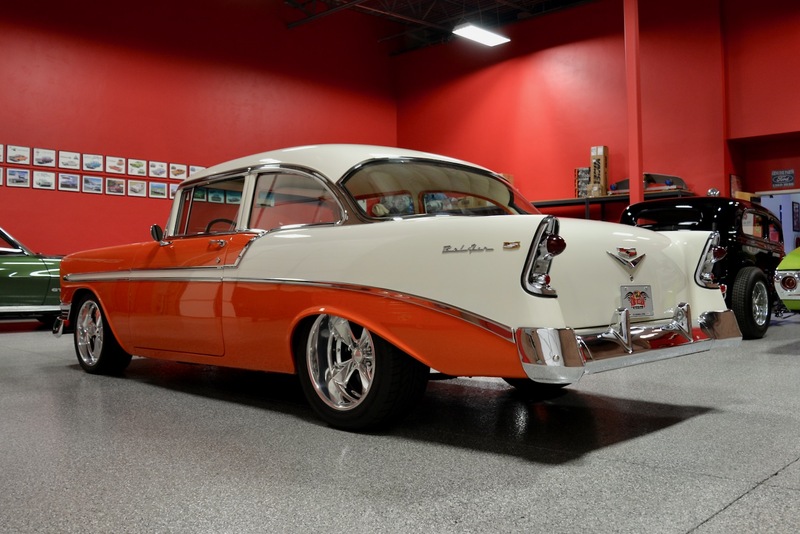 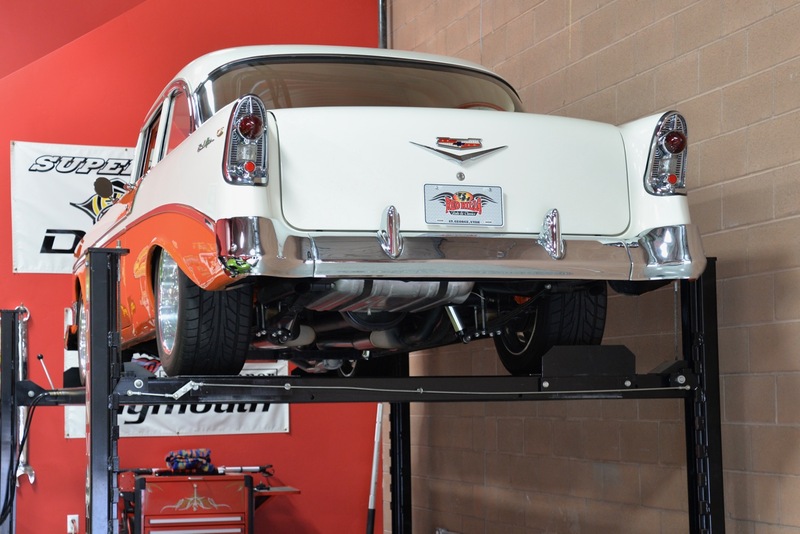 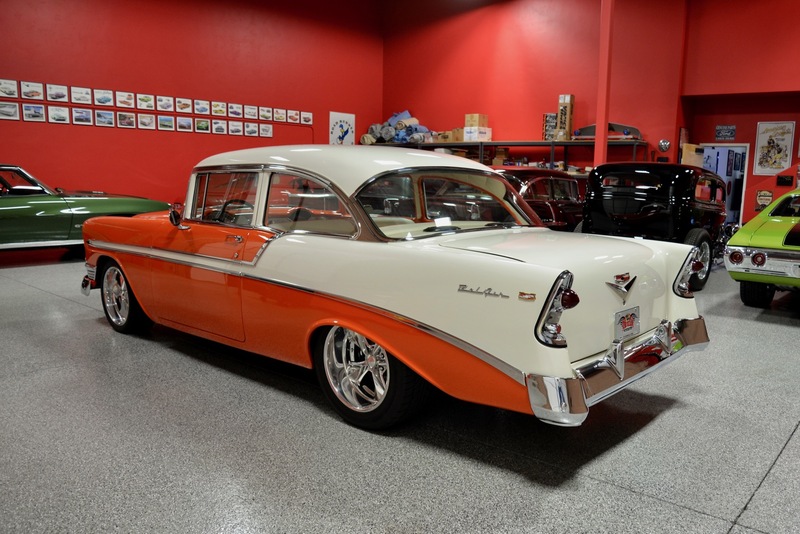 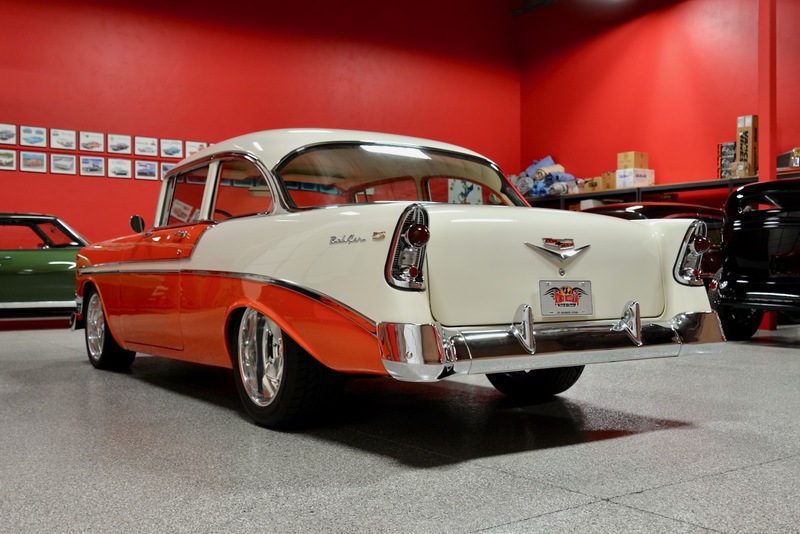 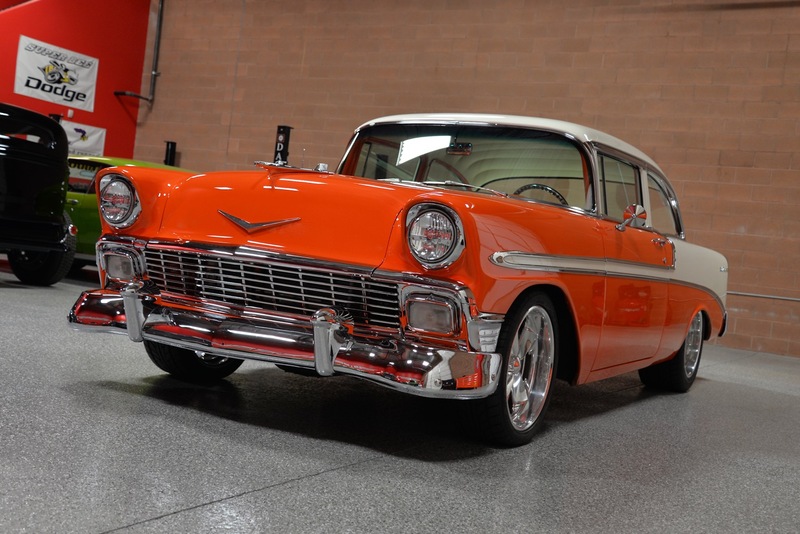 ‘Red Hills Rods & Classics’ is happy to offer you this absolutely gorgeous 1956 Chevrolet Bel Air Custom! 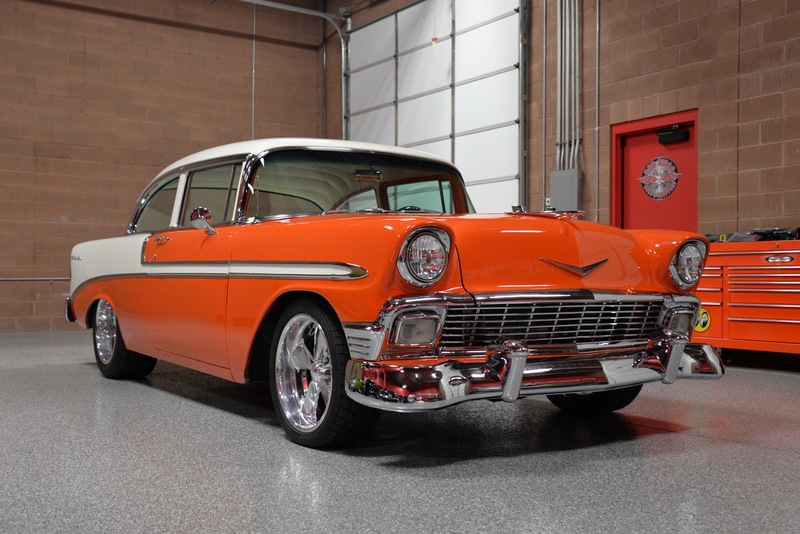 Finished in Chevy Hugger Orange & Ivory wrapped around a custom orange & ivory interior, it is one of the most visually attractive Tri-Five Chevys that we have seen in a long time. 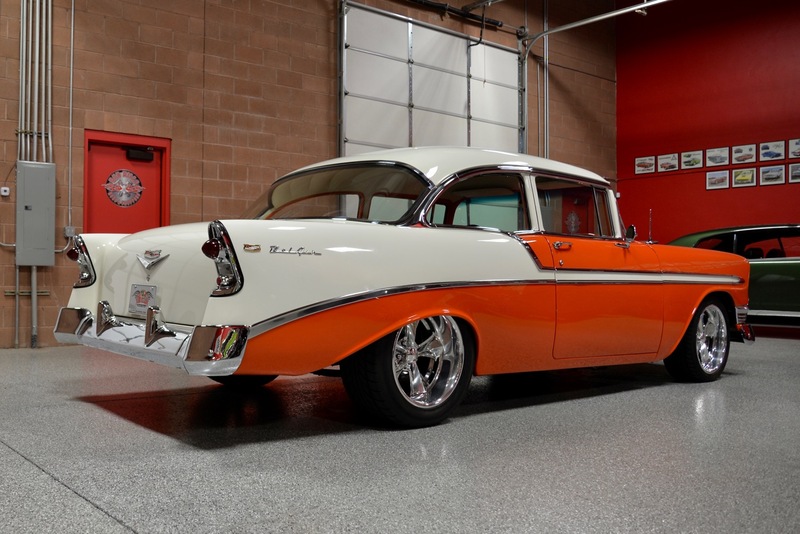 Restored/built in 2015, this beautiful ’56 Bel Air has basically only been used for car shows & special events since its completion. 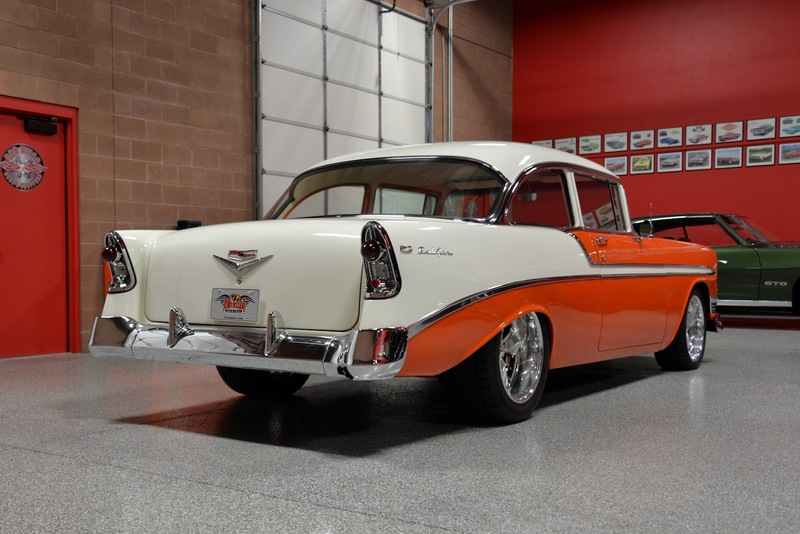 Let me start by saying that this is a real 1956 Chevrolet Bel Air, not a 210 or 150 that is a dressed-up to look like a Bel Air. 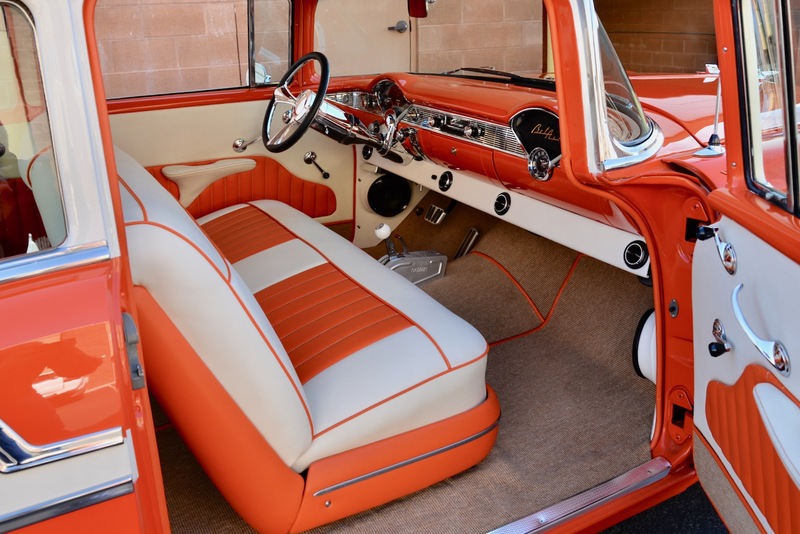 The choice of using Hugger Orange & Ivory was brilliant, as I’ve rarely seen a more attractive color combination on a Tri-Five Chevy. 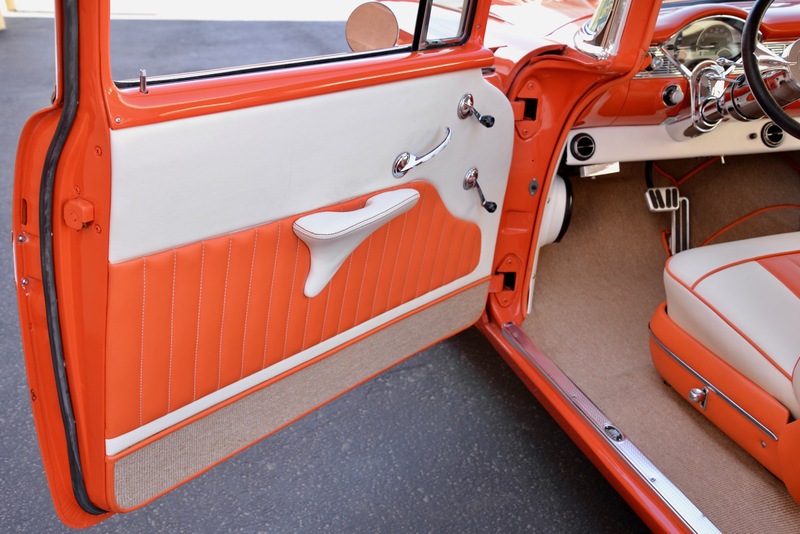 The orange & ivory paint was polished to a mirror-like shine throughout and really comes alive in the sunlight. 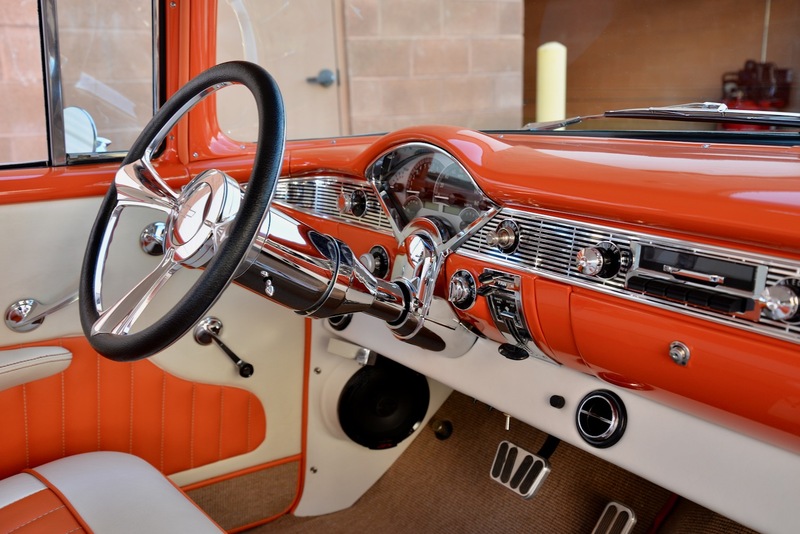 All of the chrome & assorted stainless-steel trim is in excellent condition from front to back, and the glass is crystal clear all of the way around. 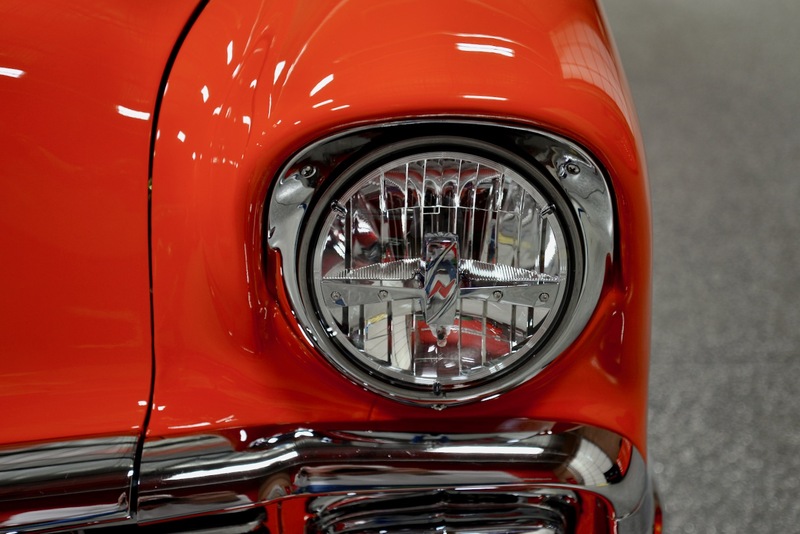 LED headlights light up the road nice & bright. 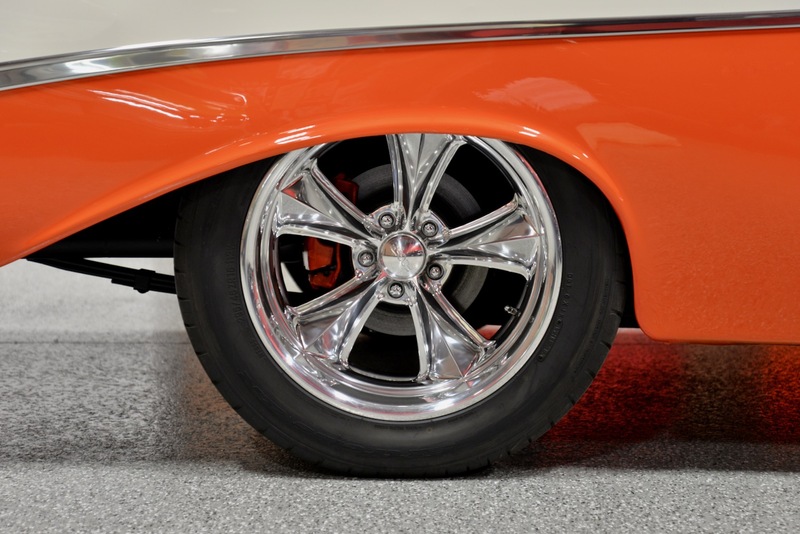 She sits on polished 18” FOOSE Nitrous II wheels wrapped w/ Nitto NT555 Extreme radial tires (295/45/ZR18 on the rear & 235/40/R18 up front). 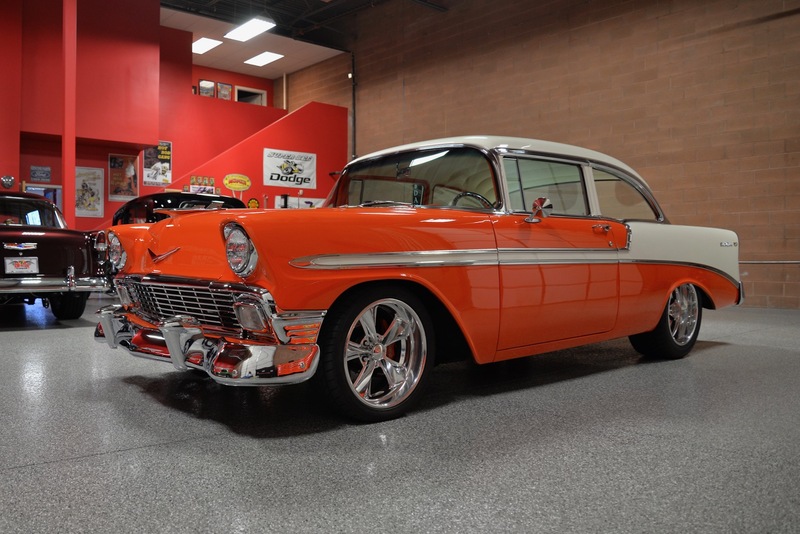 Let me say that everyone who sees this car in person absolutely falls in love with it. 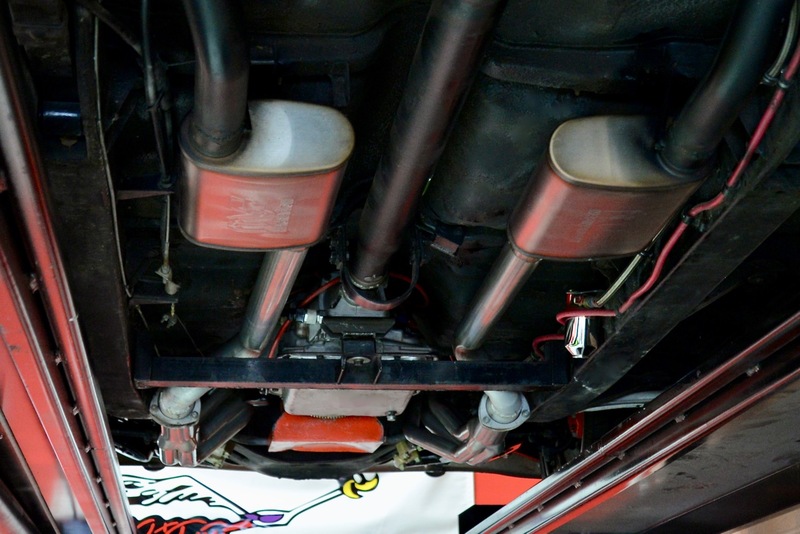 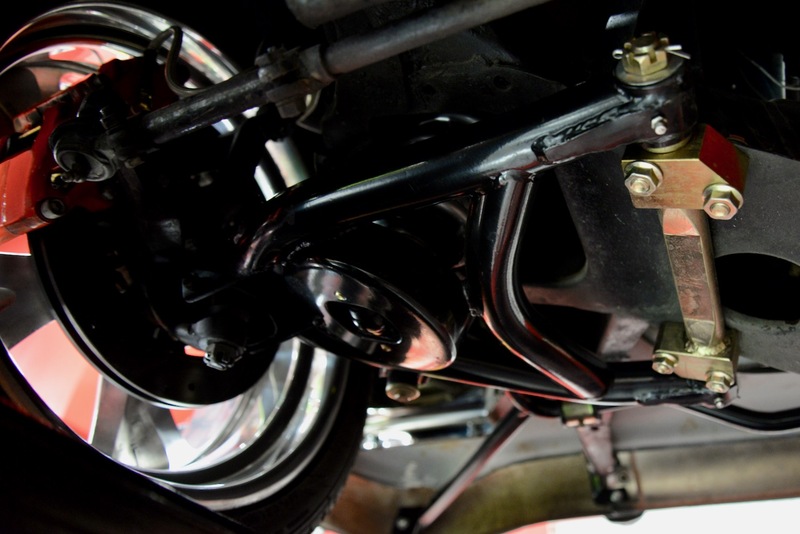 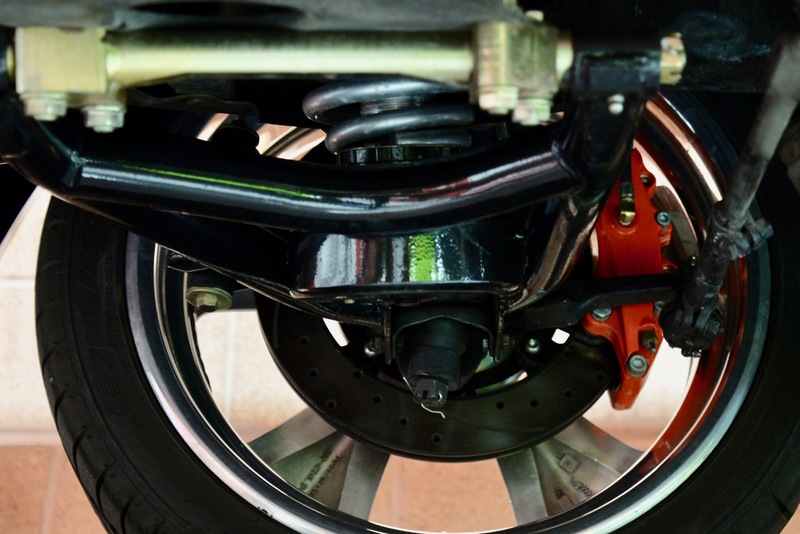 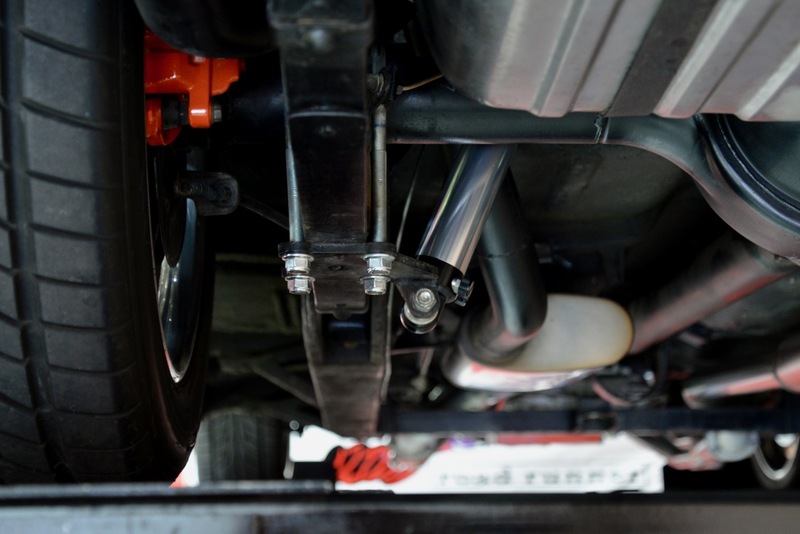 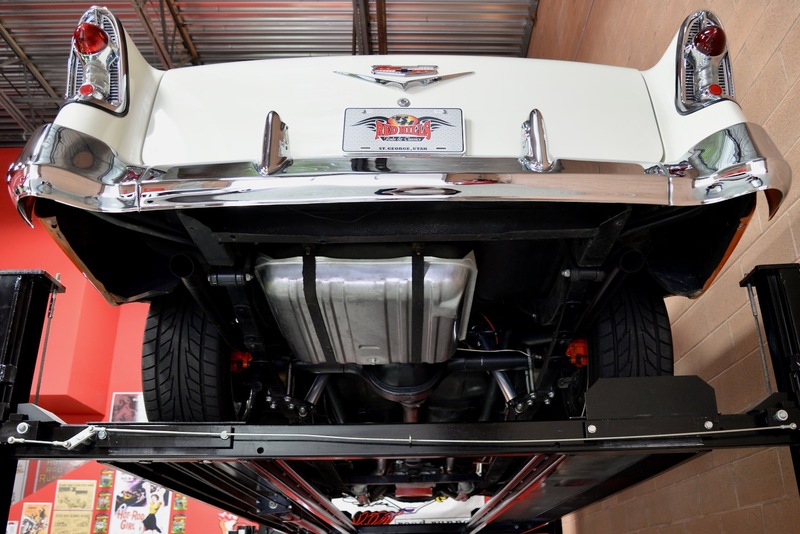 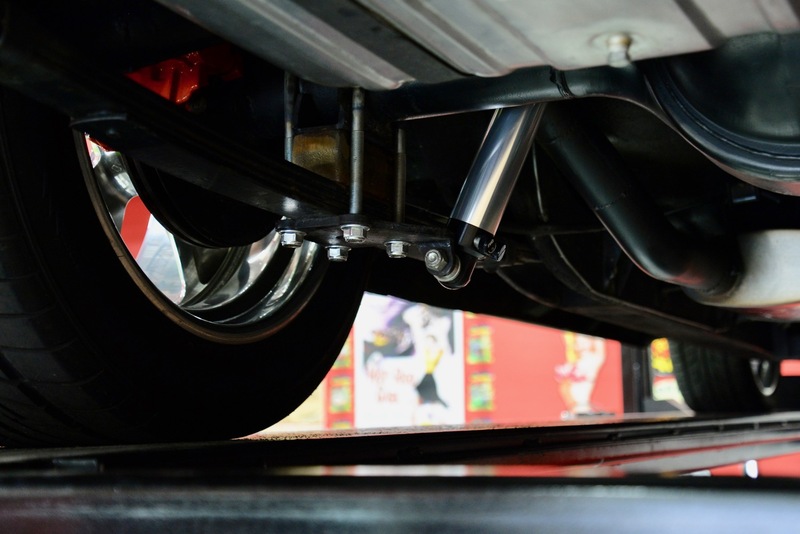 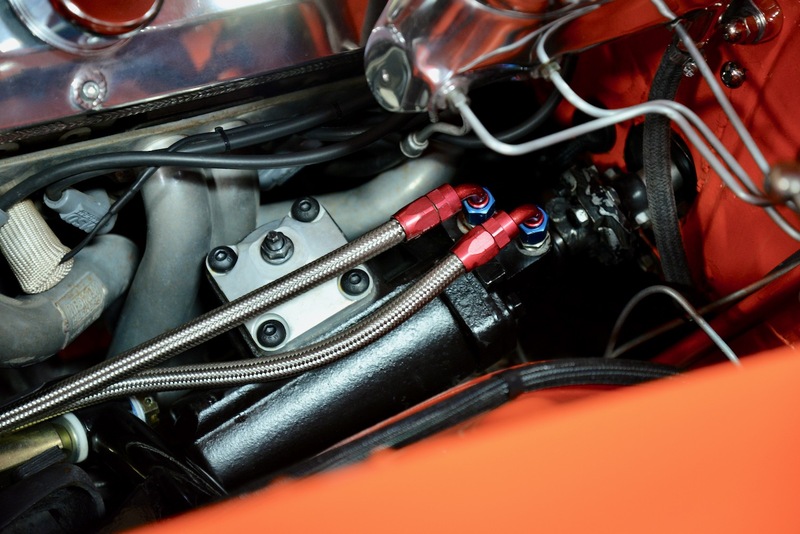 The body sits on the original chassis which has been beefed up w/ modern components, including: upper & lower tubular A-arms w/ double-adjustable QA 1 shock absorbers front & rear, anti-sway bar in front, GM500 steering box, electronic brake booster, Wilwood 6-caliper front disc brakes w/ stock GM disc brakes on the rear, and full dual-exhaust system w/ Magnaflow mufflers, which sound awesome. 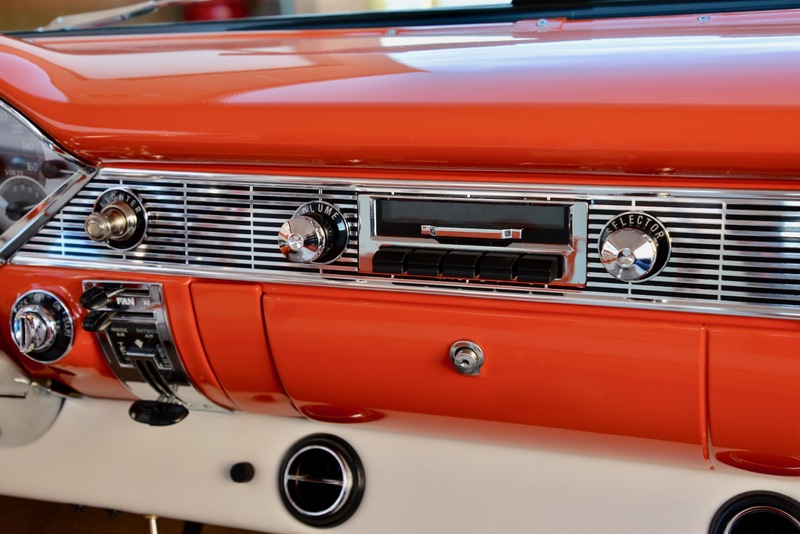 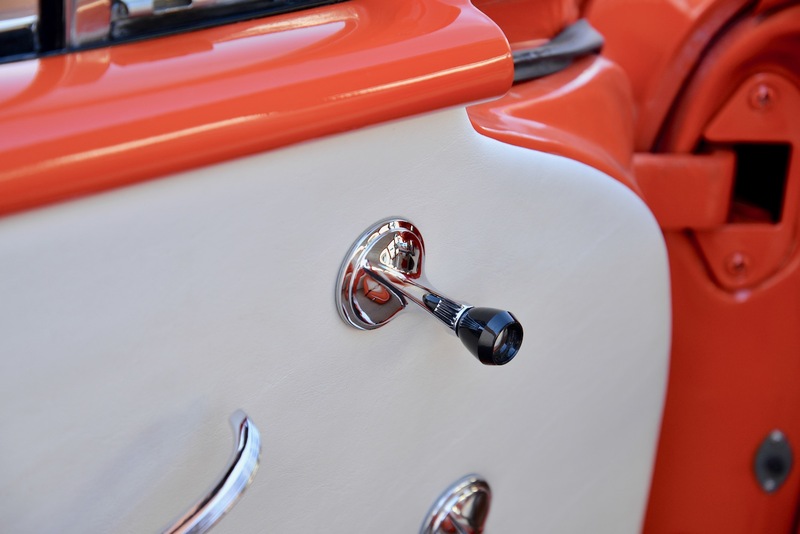 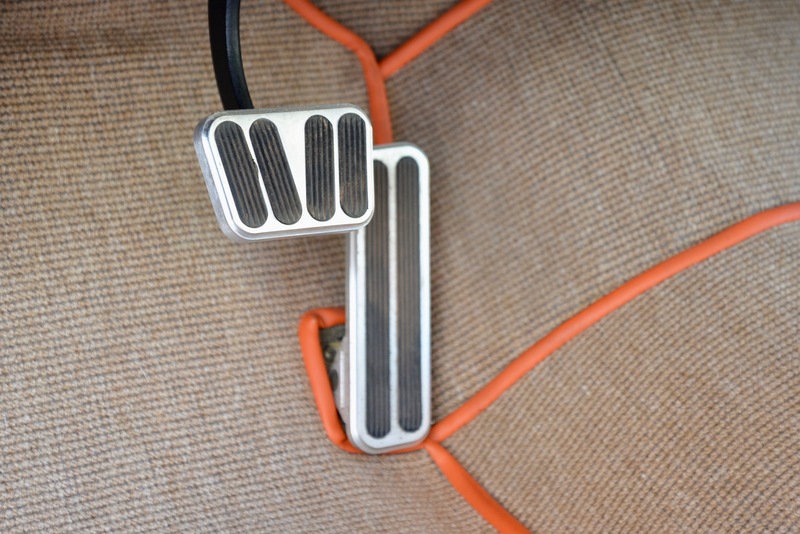 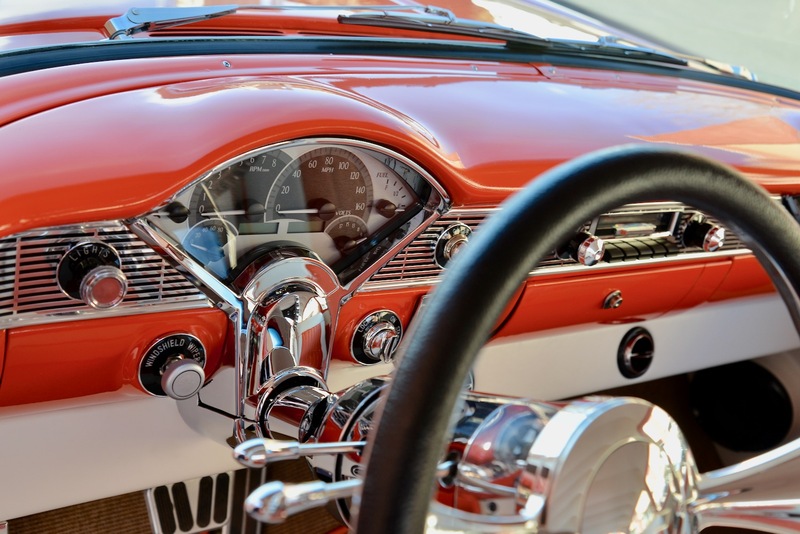 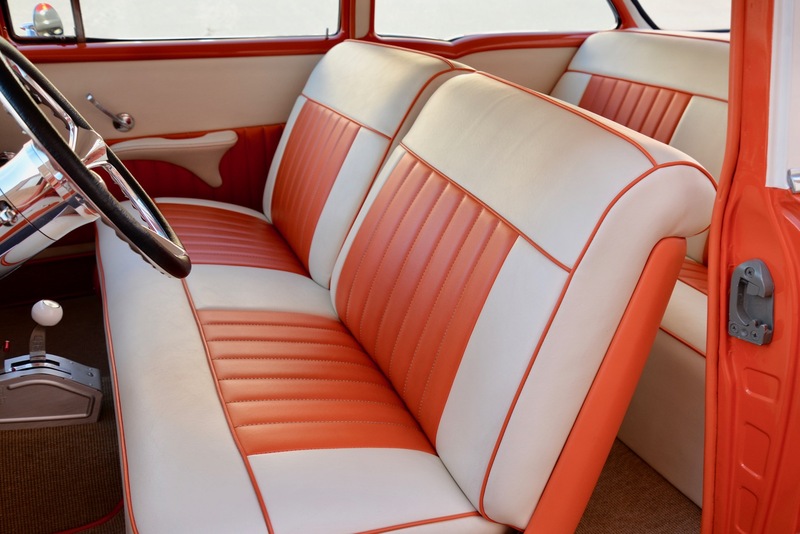 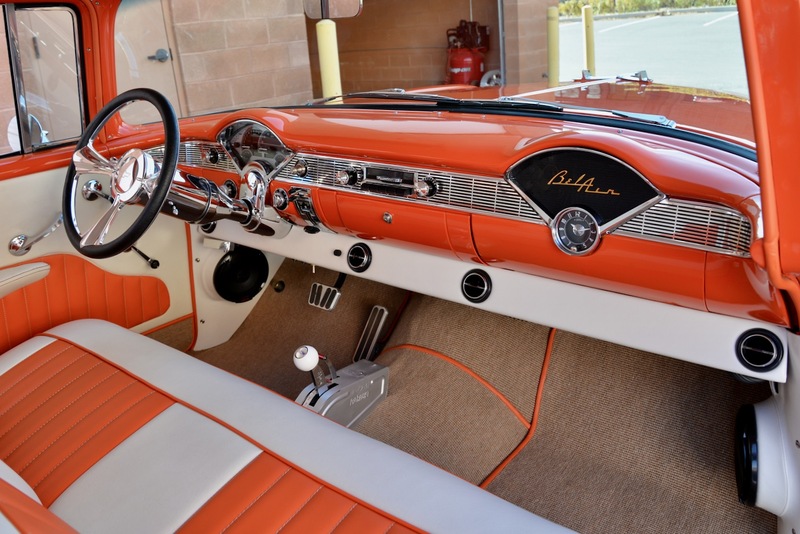 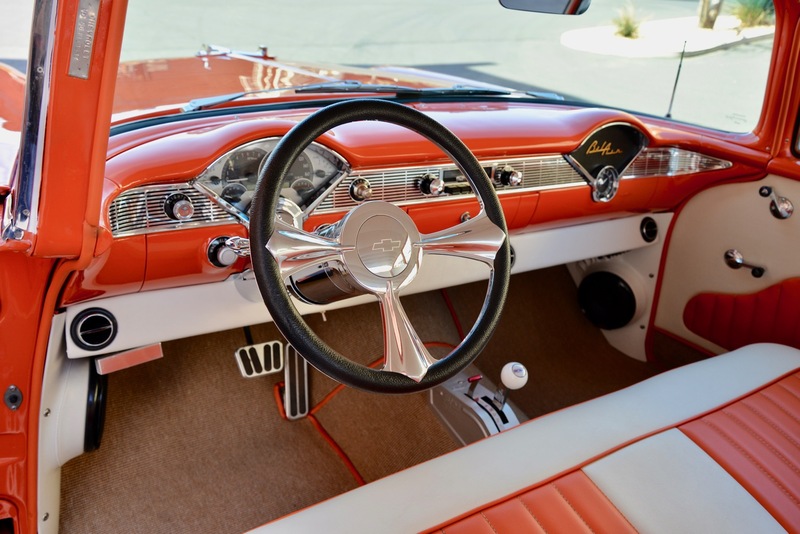 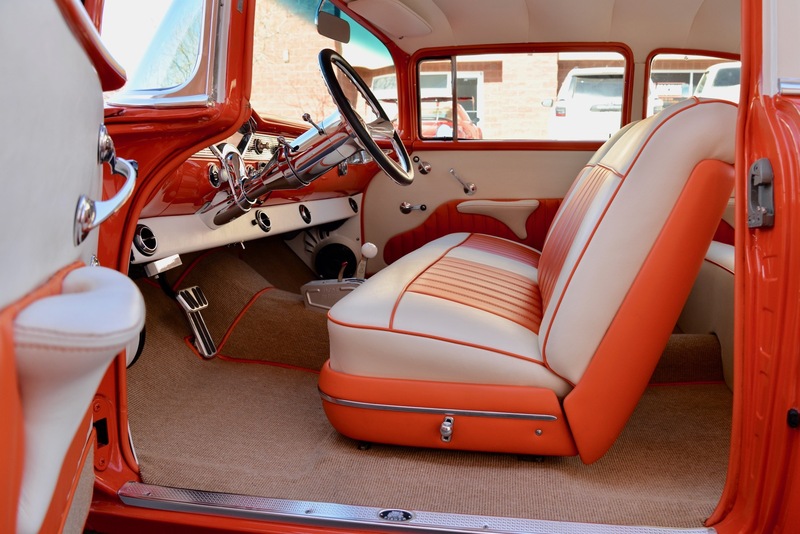 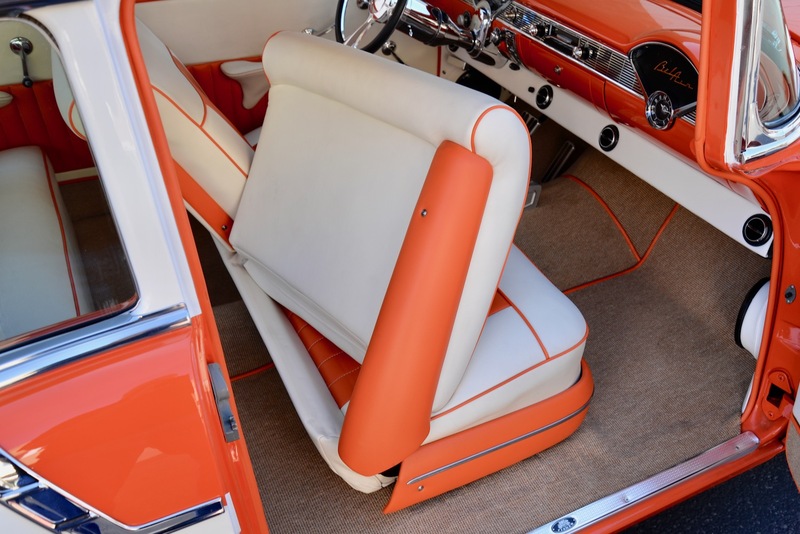 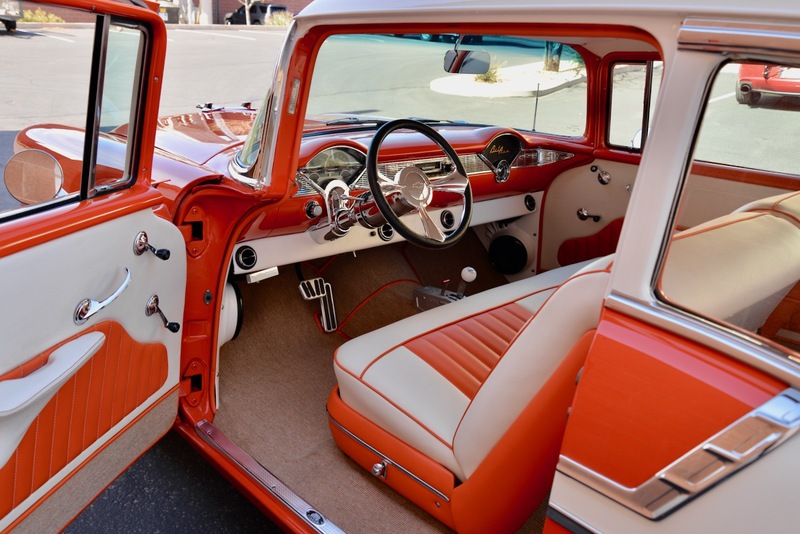 Open the driver’s door and you will find a gorgeous orange & ivory custom interior w/ all of the creature comforts needed to enjoy yourself thoroughly while cruising. 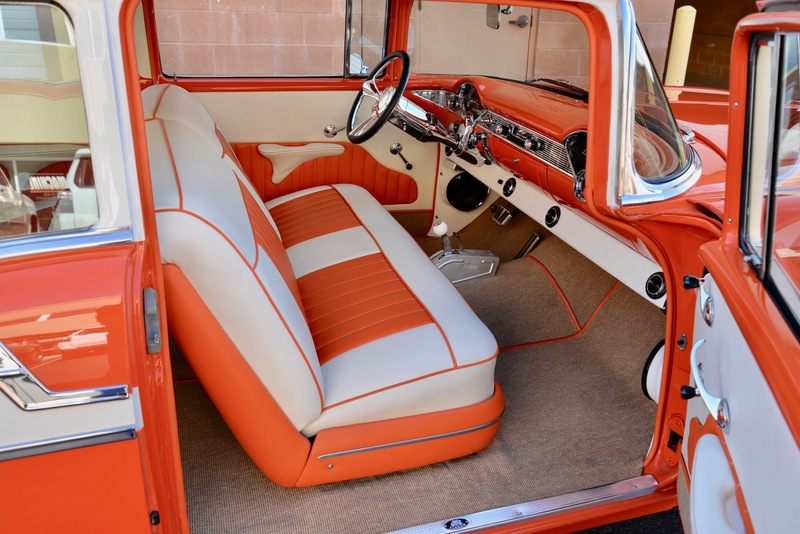 Features include: adjustable ivory split-bench front seat w/ orange inserts & orange piping, matching orange & ivory door panels front & back, tan German square-weave carpeting throughout, original body-colored painted dash w/ chrome insert, Dakota Digital VHX Series direct-fit analog gauge system, Vintage Air-Conditioning, chrome tilt steering column, Billet Specialties wrapped steering wheel, Billet Specialties billet pedals, B&M Pro-Ratchet shifter, Alpine sound system w/ (2) amplifiers, (4) Alpine speakers & (1) Alpine 12” subwoofer (mounted in trunk). 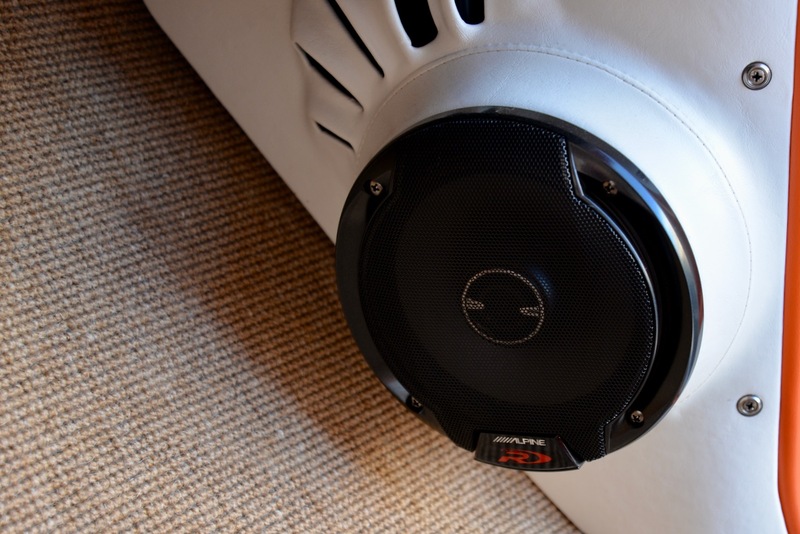 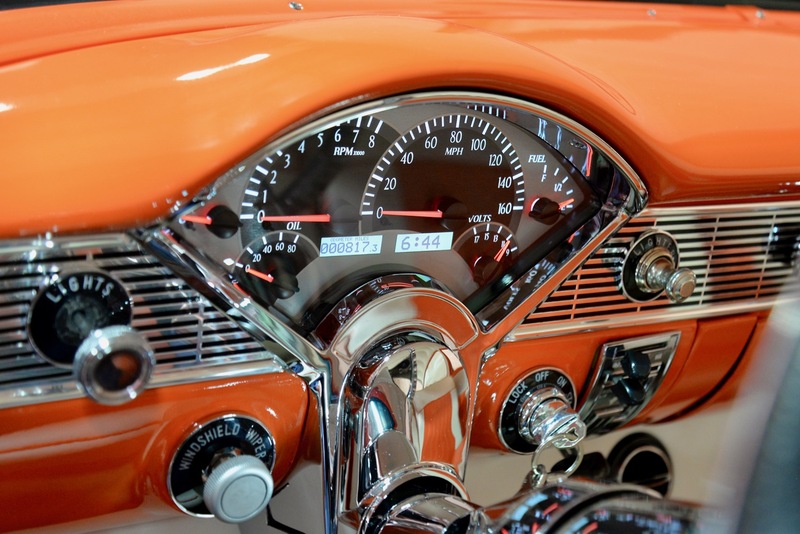 All of the gauges & electronic components are in perfect working order. 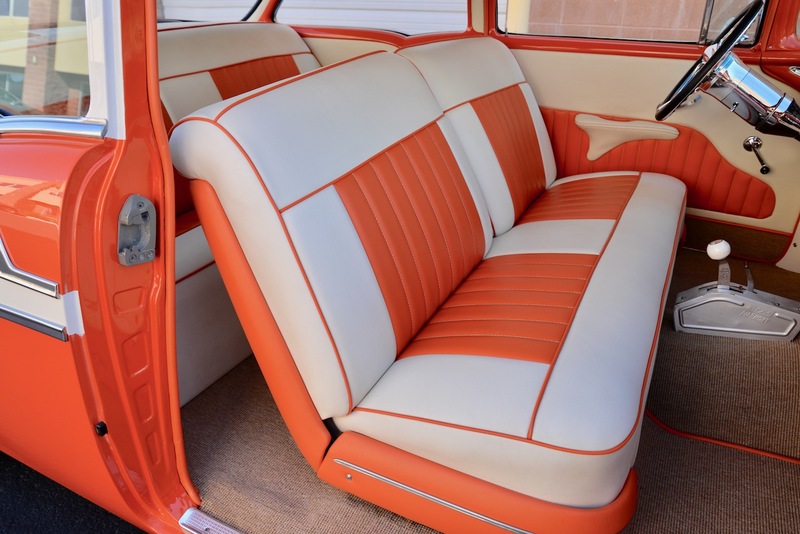 This interior is extremely comfortable and highly functional in every way w/ everything you need for a very comfortable ride. 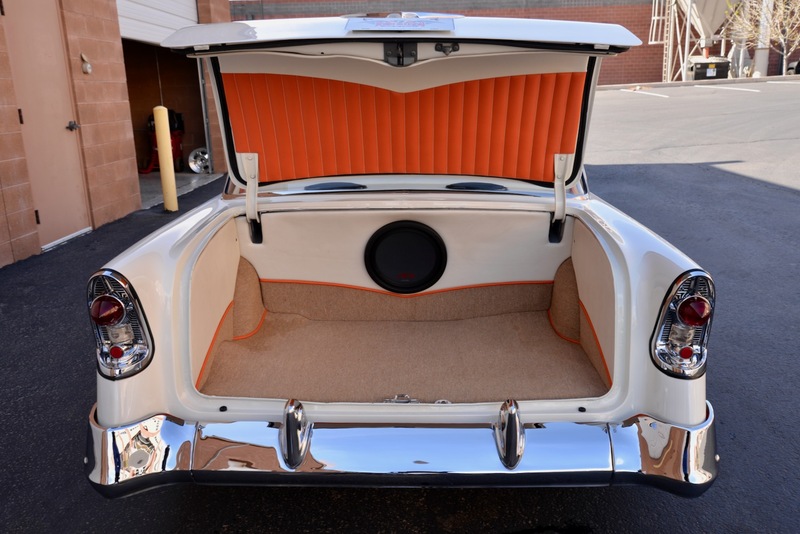 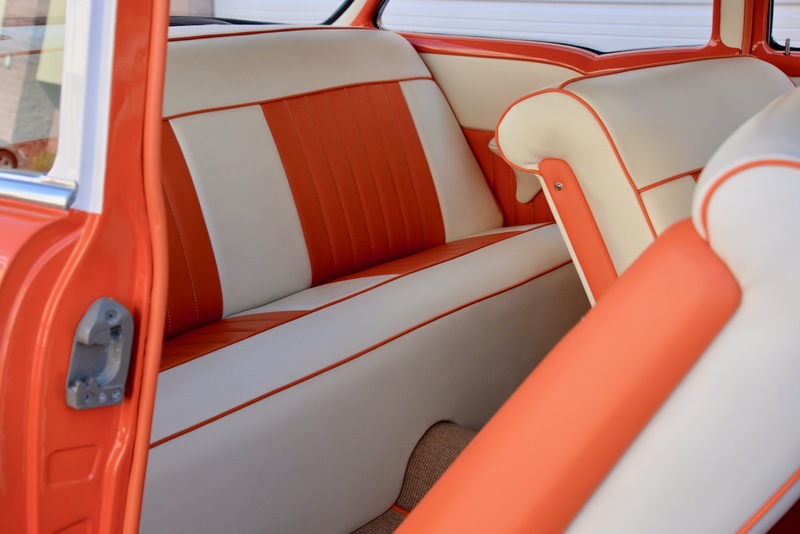 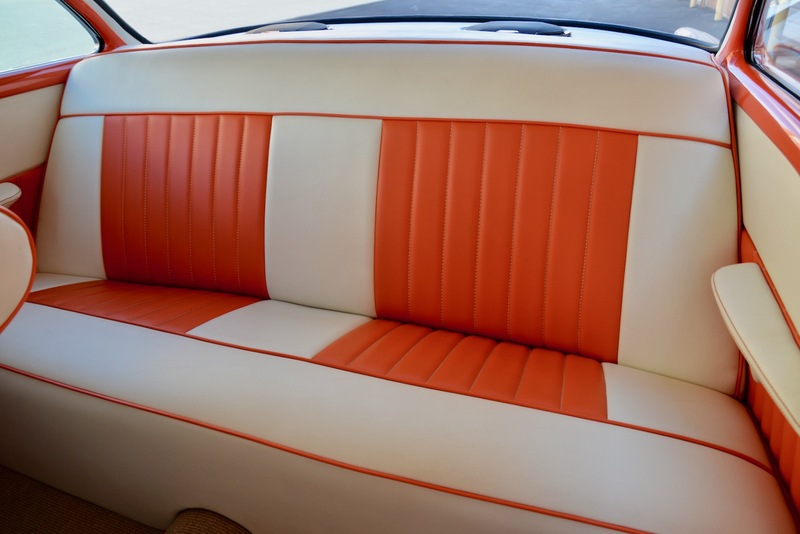 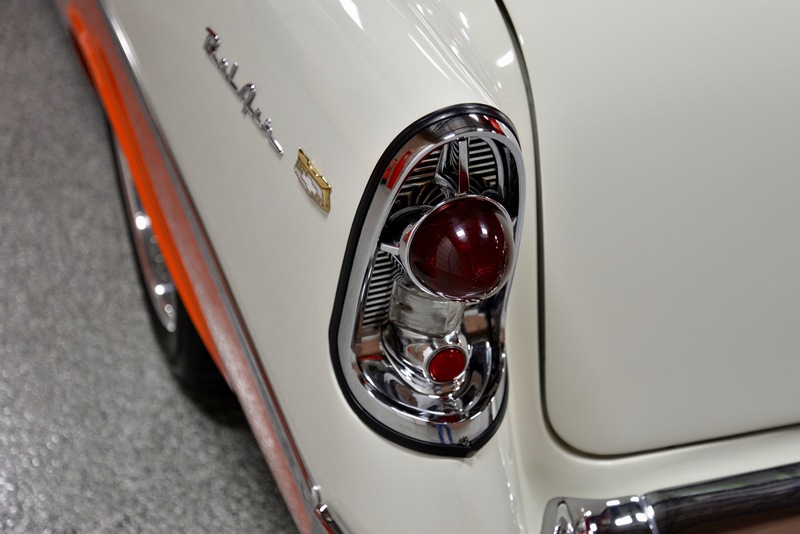 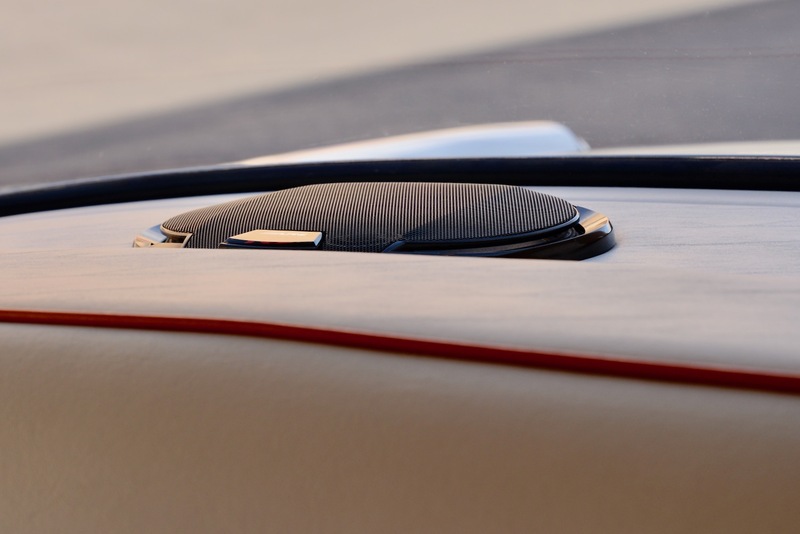 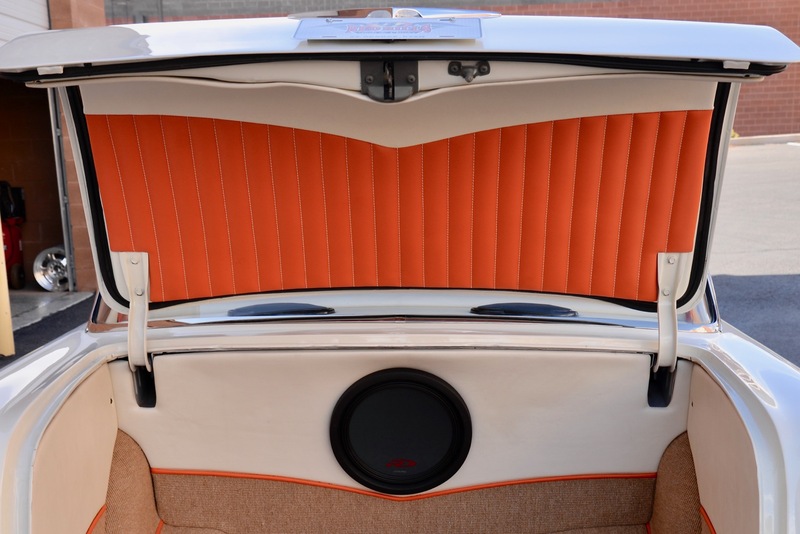 The completely restored trunk area matches the interior perfectly. 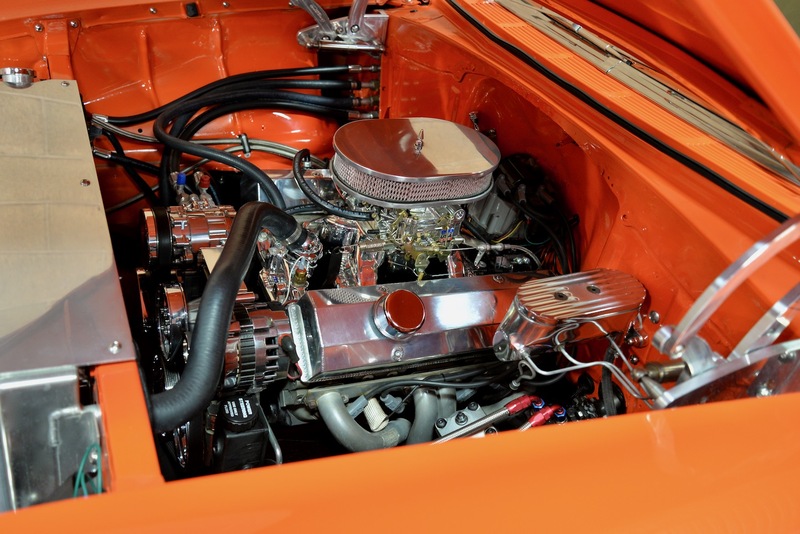 Open the hood and inside the ultra-clean engine bay resides a 350ci SBC motor which features include: polished Edelbrock Performer intake manifold, chrome Edelbrock 650cfm carburetor w/ chrome carb-kit, Hedman long-tube headers, billet valve covers, complete polished billet serpentine system, polished AC compressor, finned billet brake reservoir, Be Cool aluminum radiator, Be Cool chromed dual fans, Be Cool polished overflow reservoir, & Eddie Motorsports hood hinges. 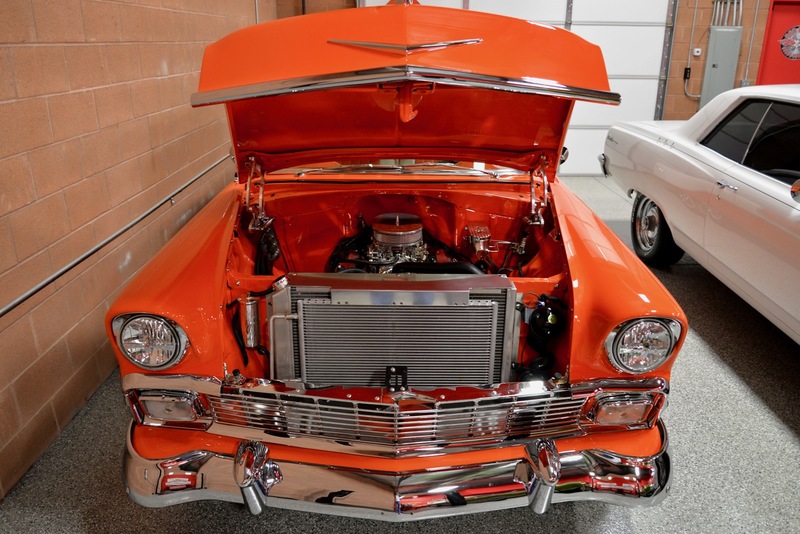 The motor is linked to a 700R4 automatic transmission w/ 2800 stall converter, which feeds power to a Ford 9” rear-end w/ 4.10 gears. 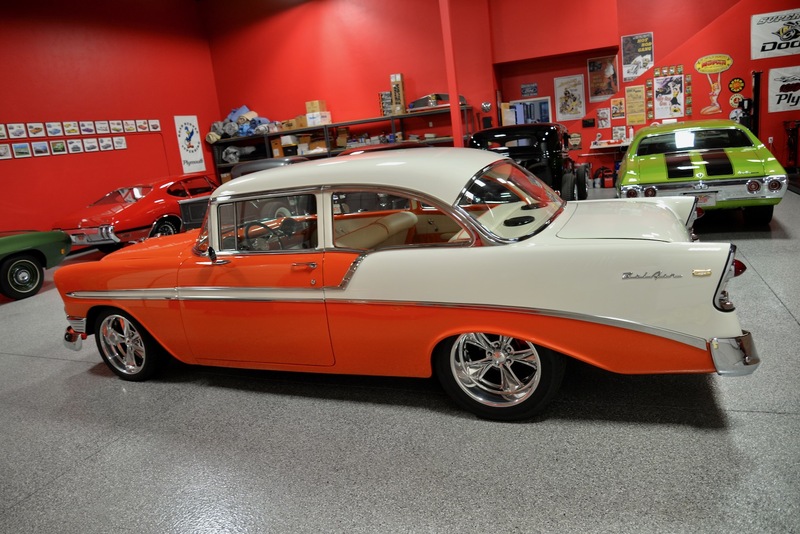 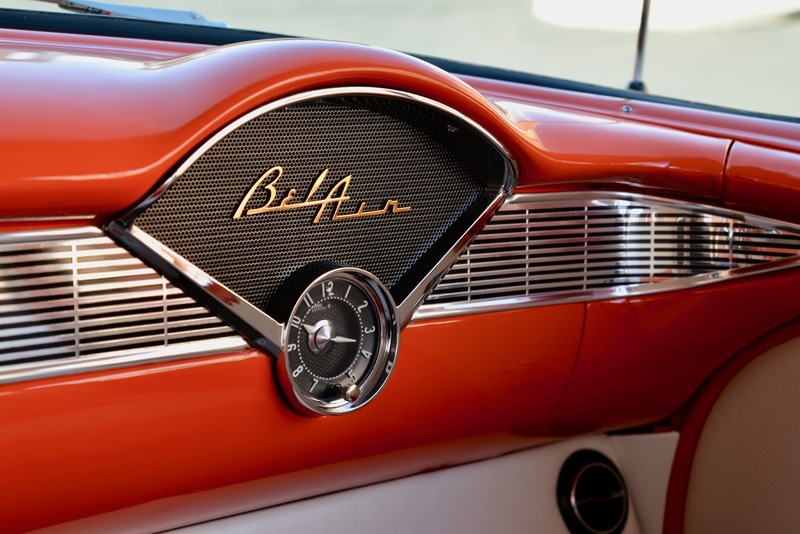 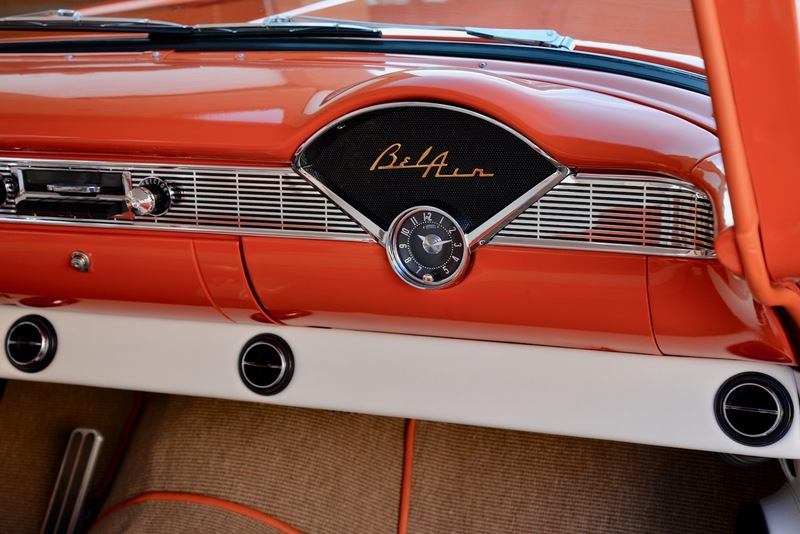 This ’56 Bel Air wasn’t just built to show, but it was also built to drive & enjoy to the fullest, and you will be shocked at the amount of attention she gets out on the road! 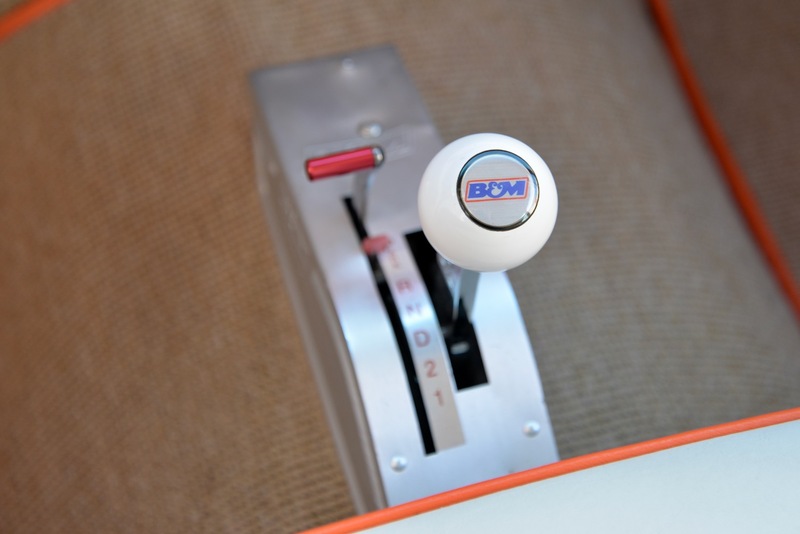 I promise that you will take home awards at any car show or event that you decide to enter. 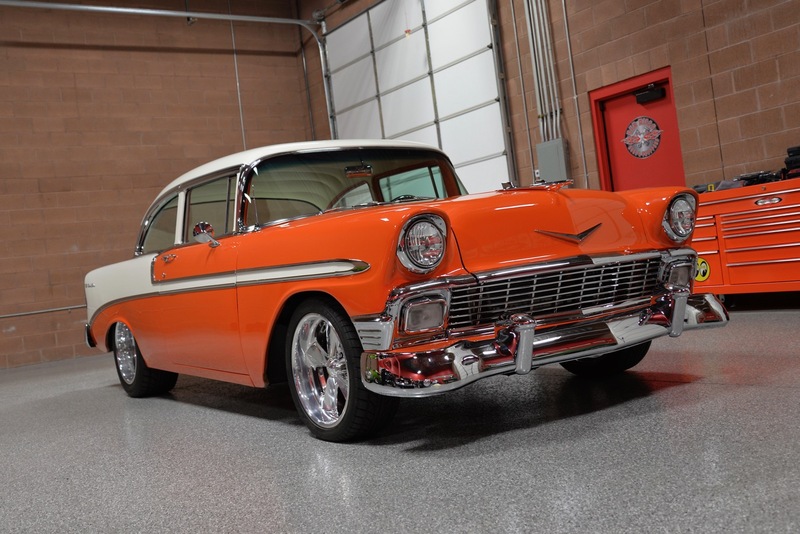 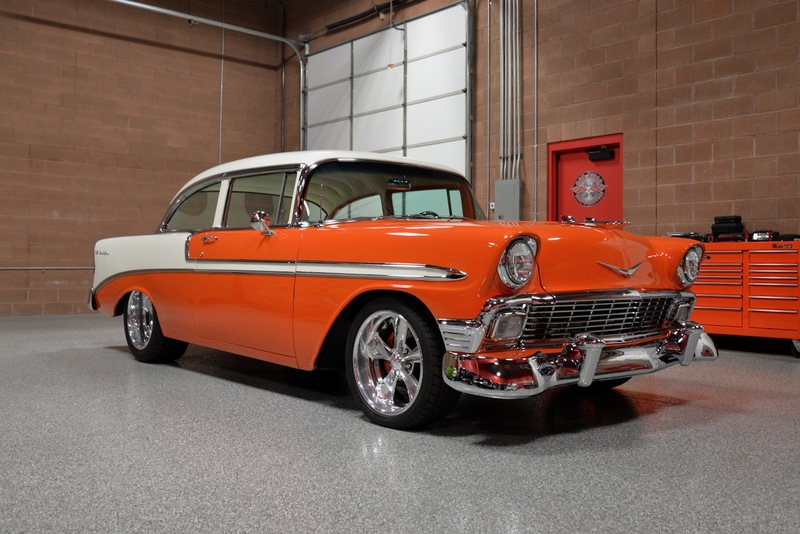 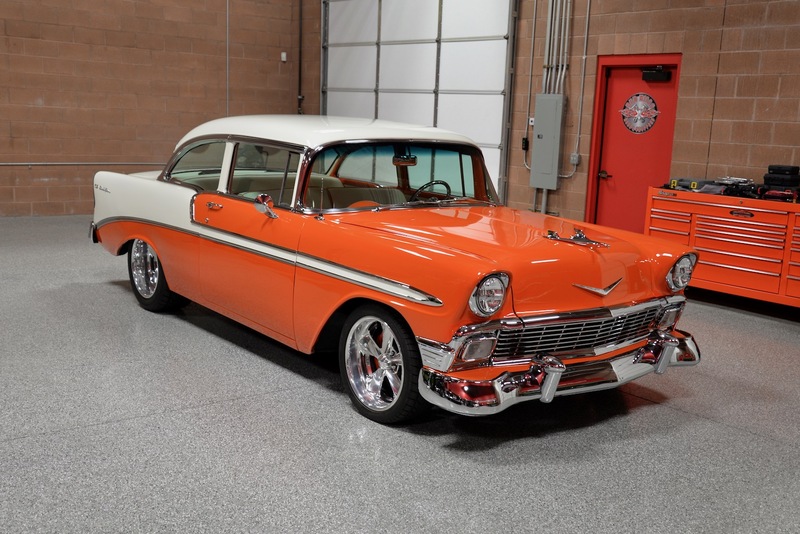 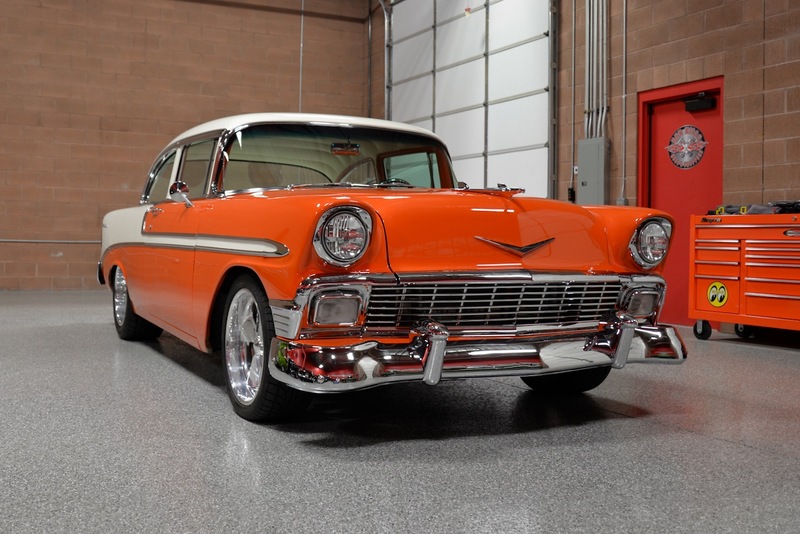 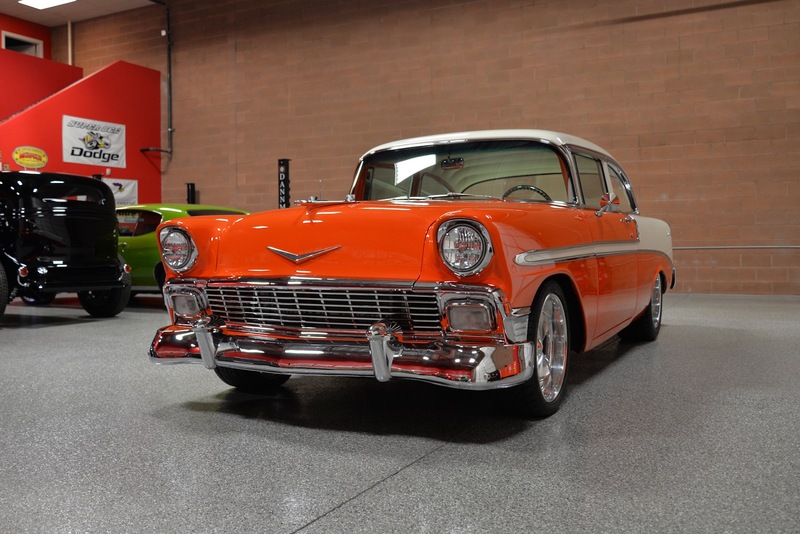 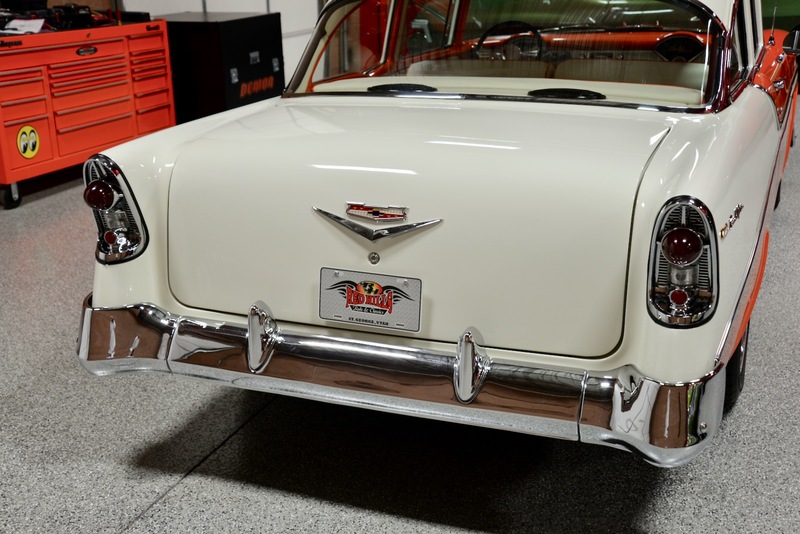 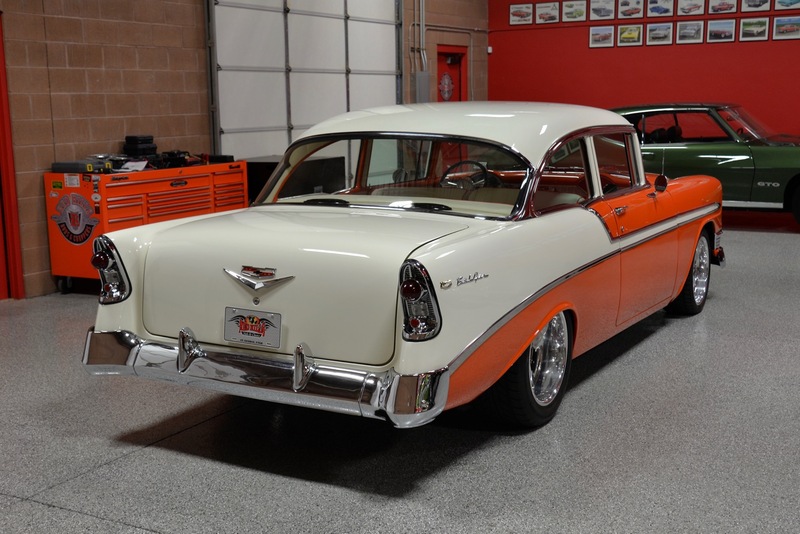 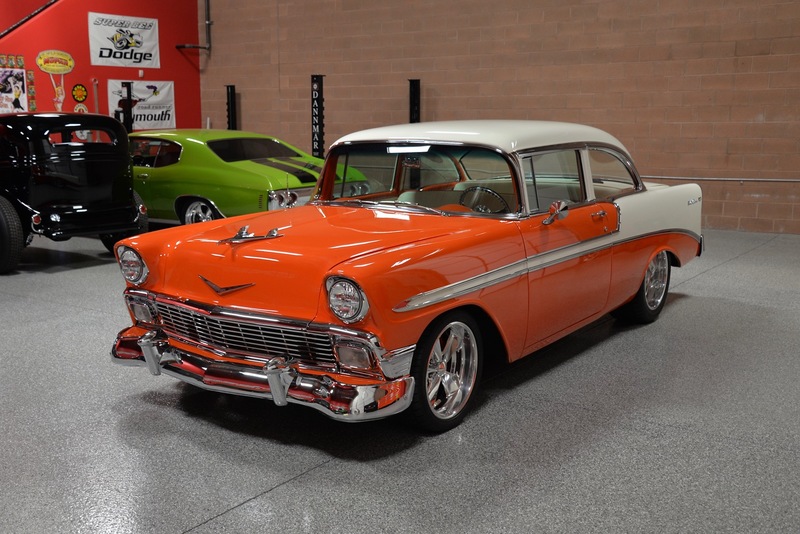 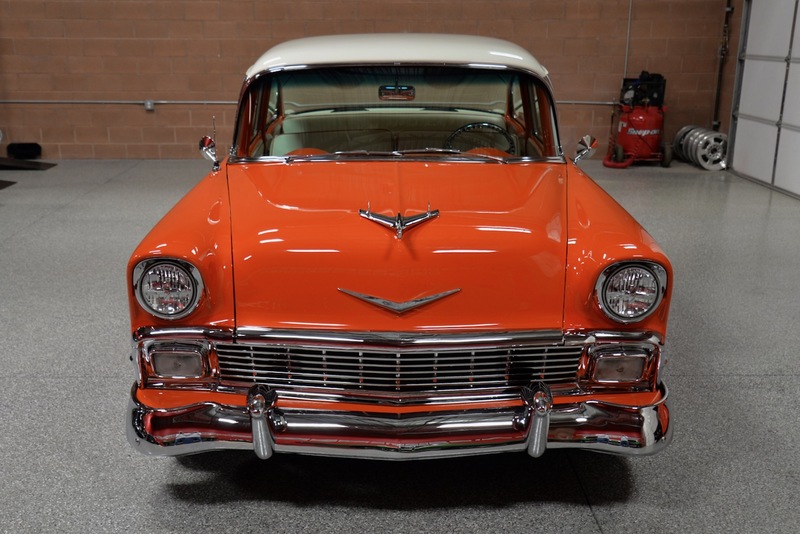 If you have been searching for just the right Tri-Five Chevy w/ the perfect color combination and just the right features that make driving her a pleasure no matter where you take her, you will want to take a very close look at this gorgeous 1956 Chevrolet Bel Air Custom.